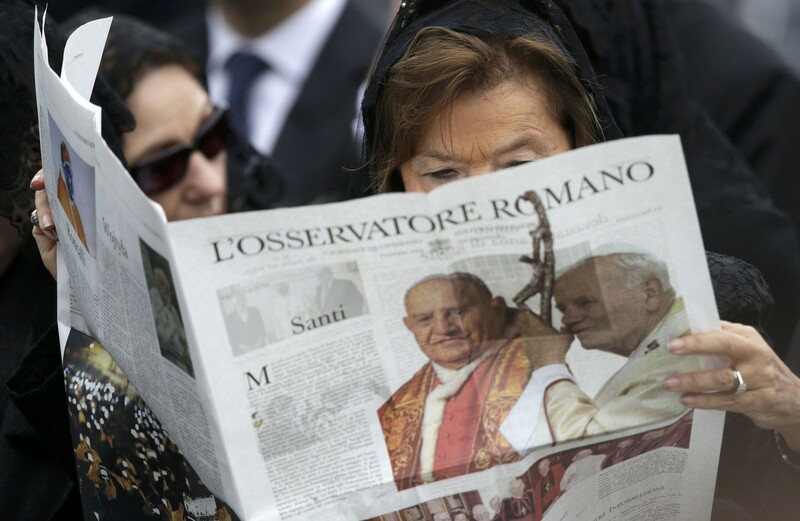 Tapestry portraits of Pope John Paul II (L) and Pope John XXIII are seen in a general view of the mass before the canonisation ceremony in St Peter's Square at the Vatican, April 27, 2014. 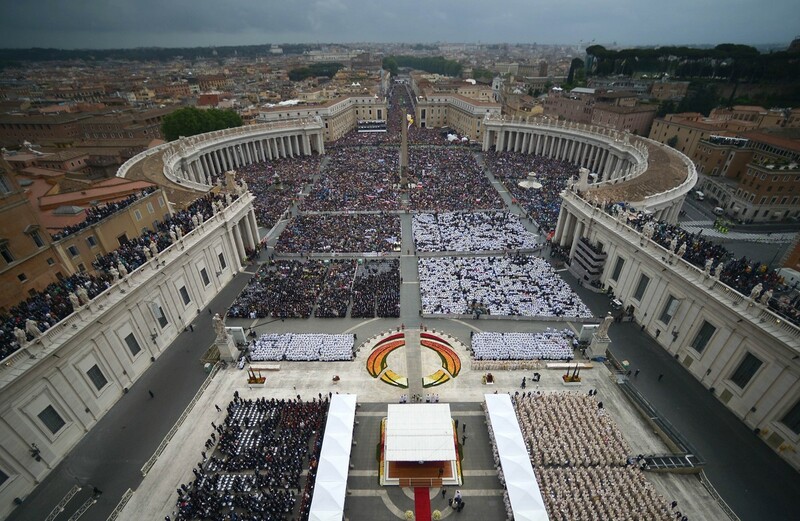 VATICAN CITY - Hundreds of thousands of people packed the squares and streets of the Vatican on Sunday to watch Pope Francis preside over a double sainthood ceremony for John XXIII and John Paul II, two giants of the Roman Catholic Church. 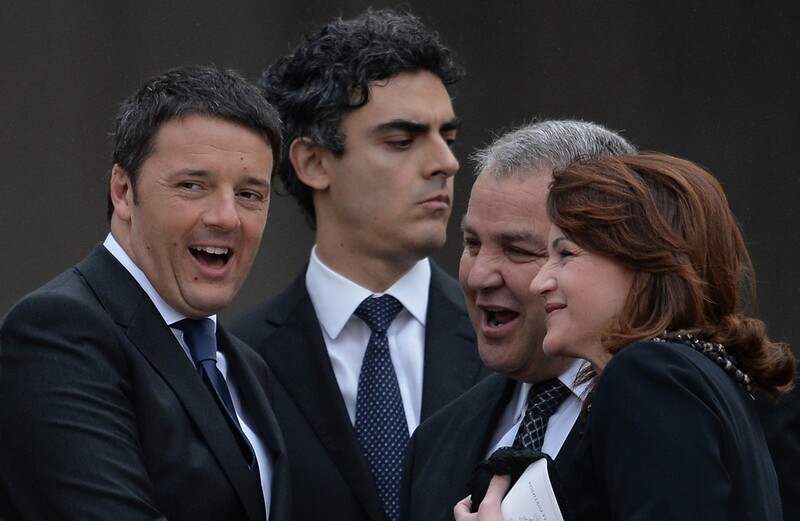 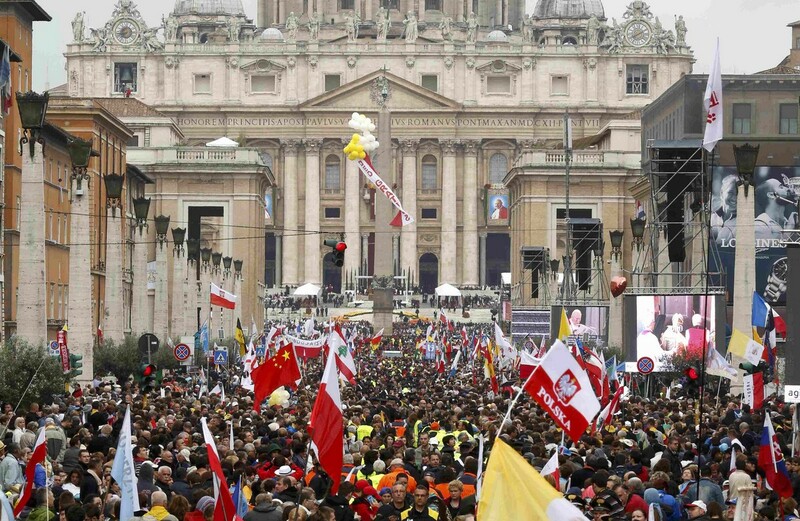 The crowd was so large it stretched back along all of Via della Conciliazione, the half kilometre-long, broad boulevard that starts at the Tiber River. 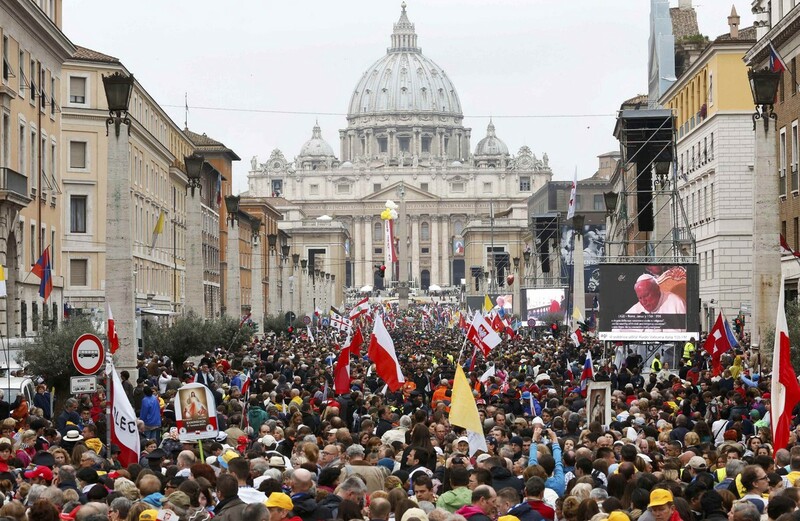 Even its bridges were packed with pilgrims. 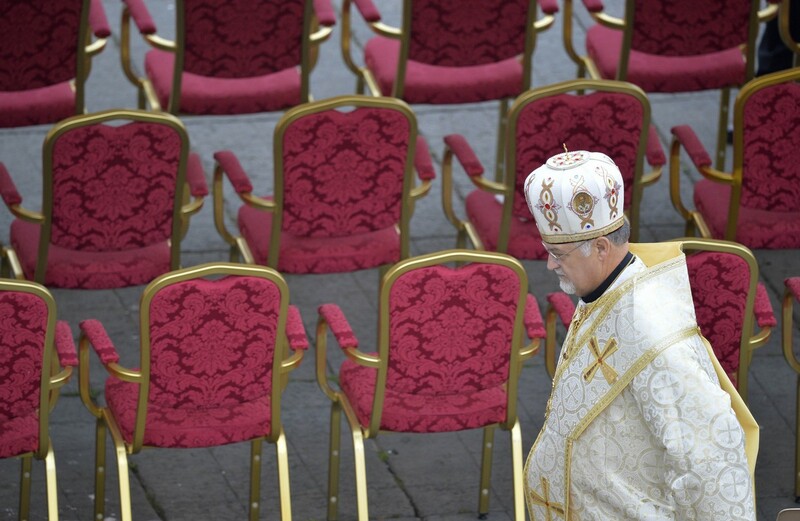 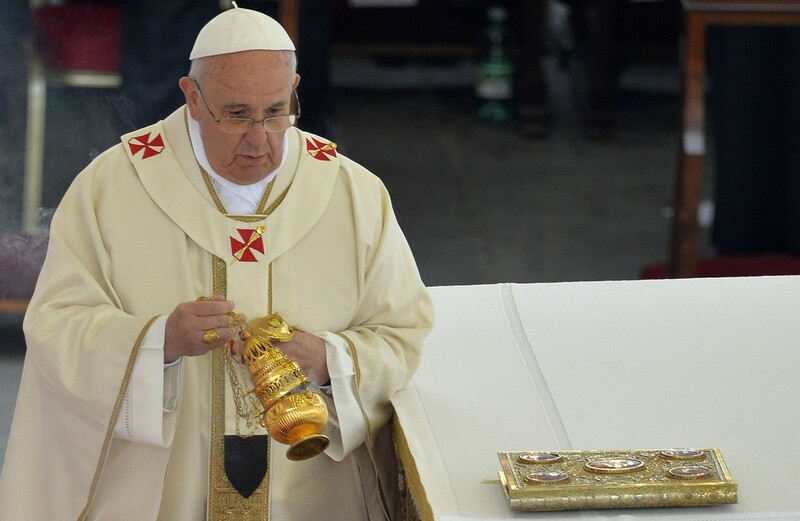 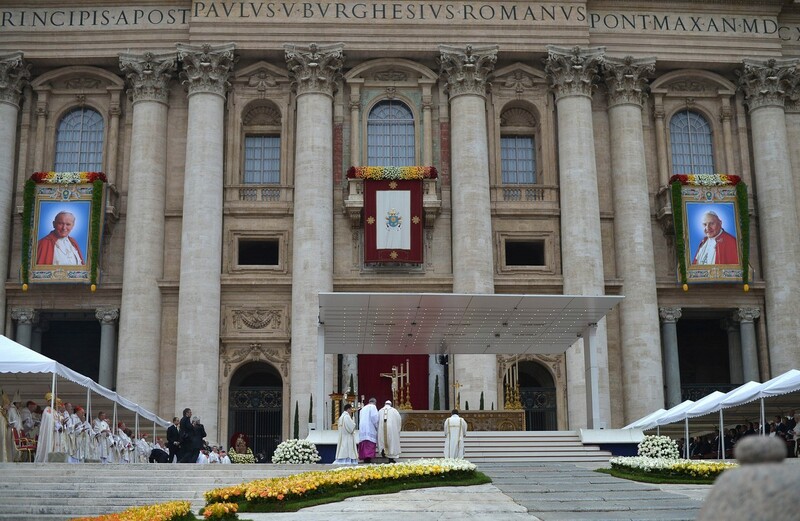 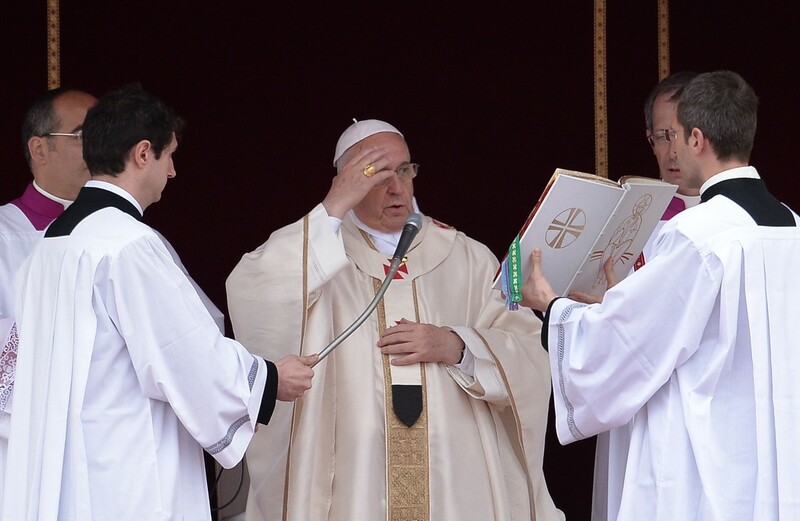 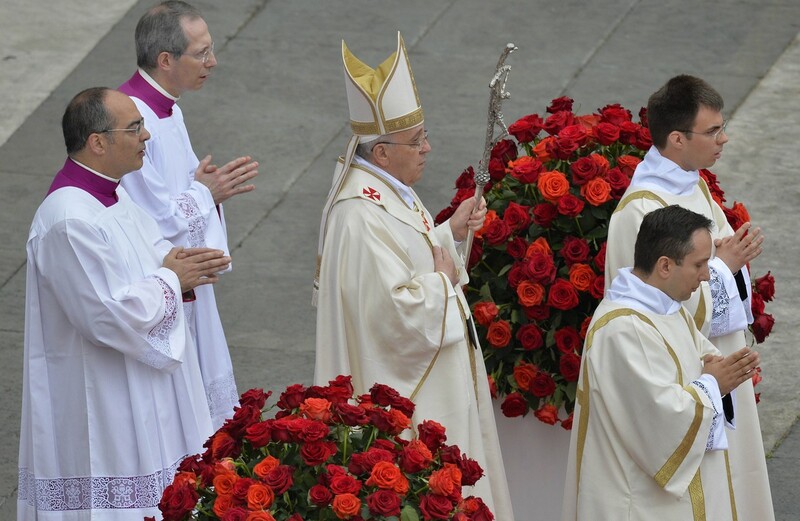 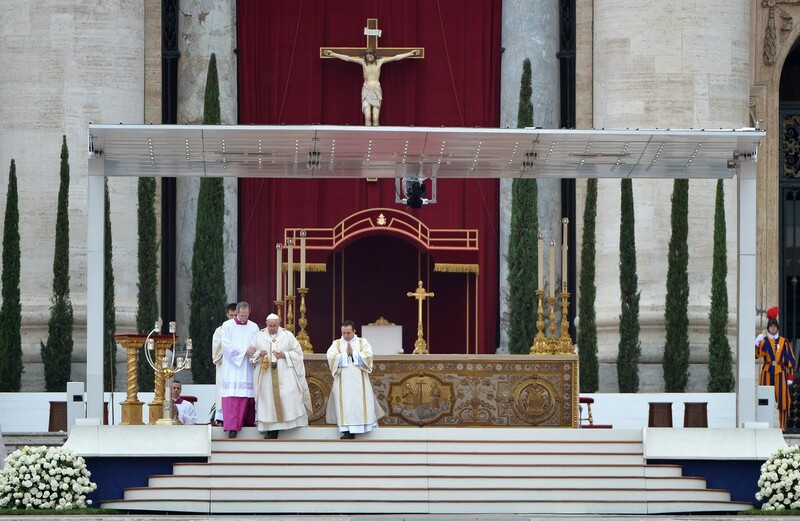 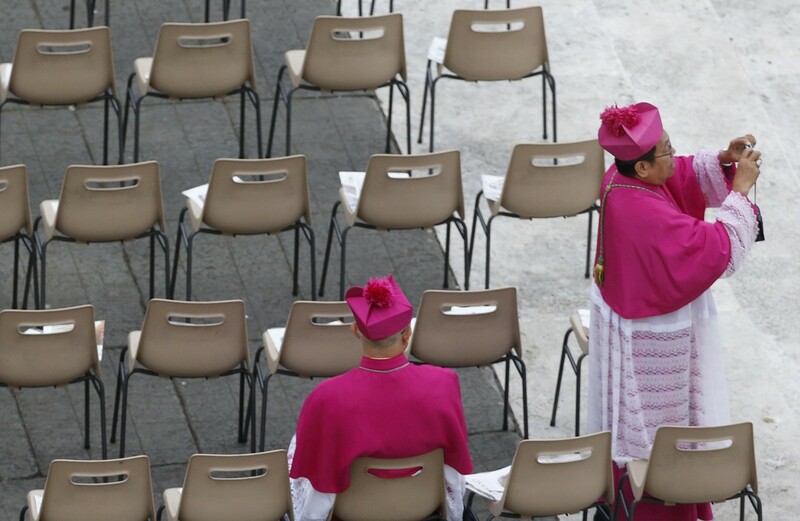 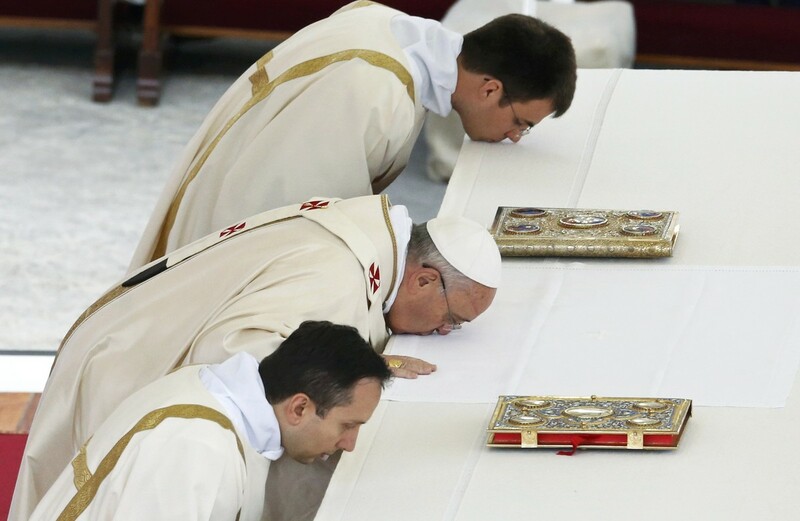 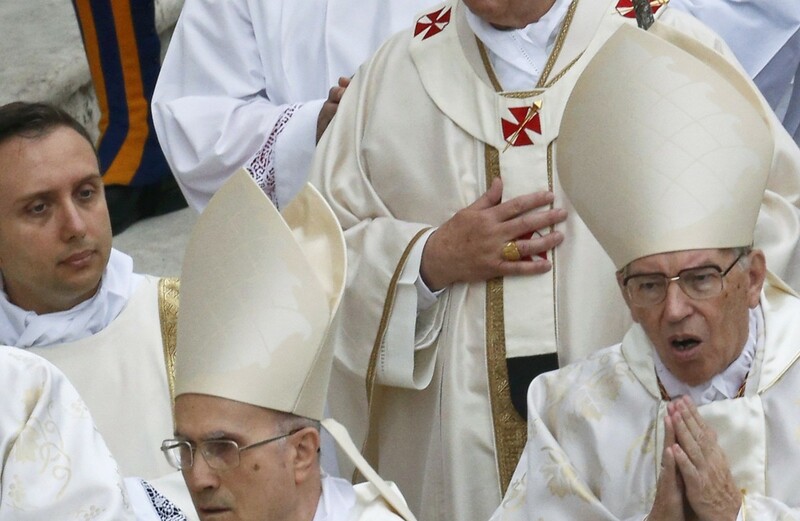 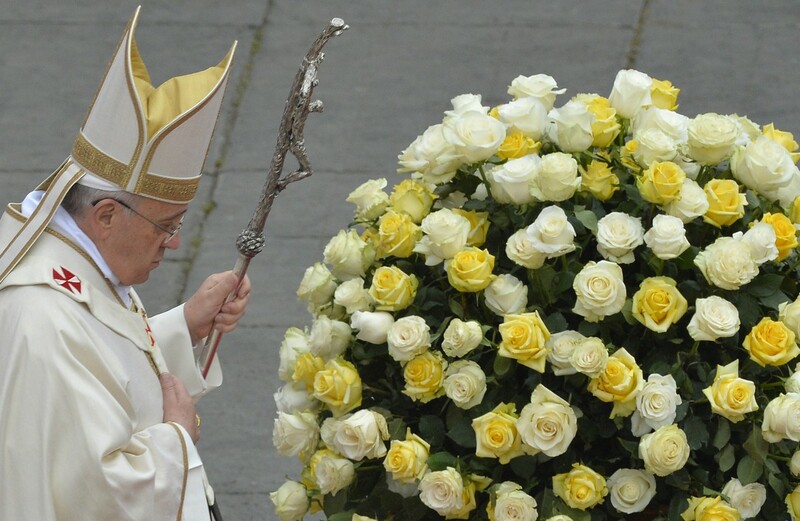 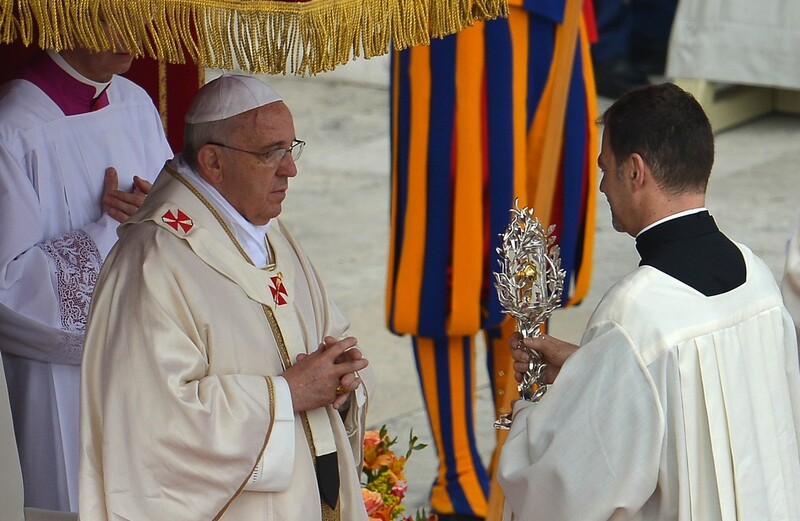 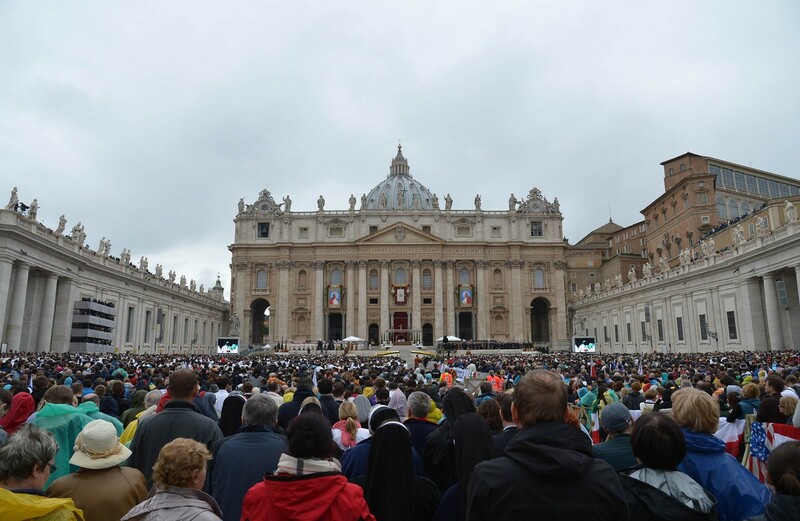 The Mass, which began under a light rain, was also attended by former Pope Benedict, who last year became the first pontiff in six centuries to step down. 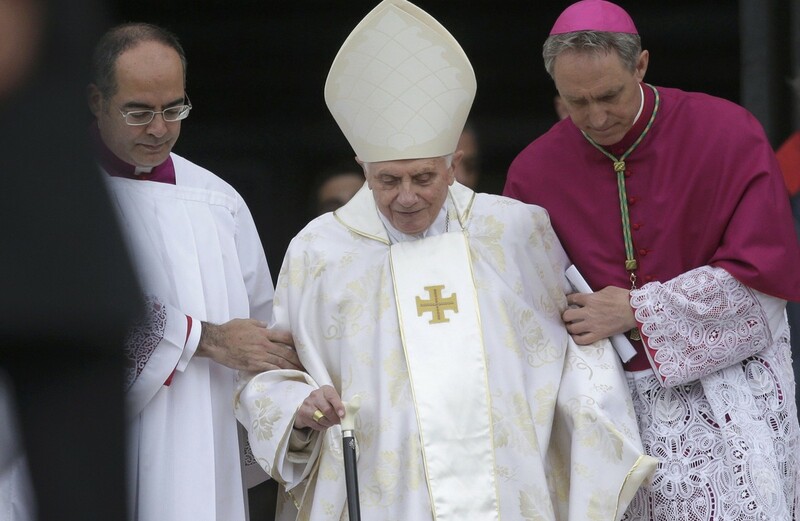 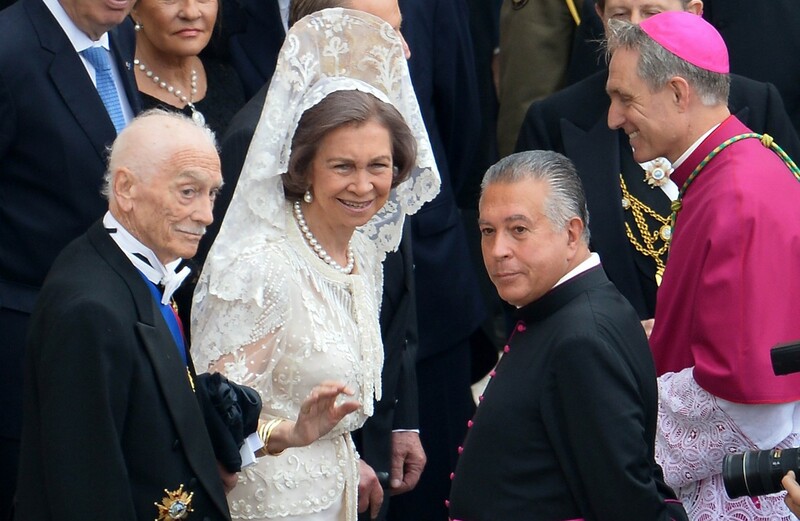 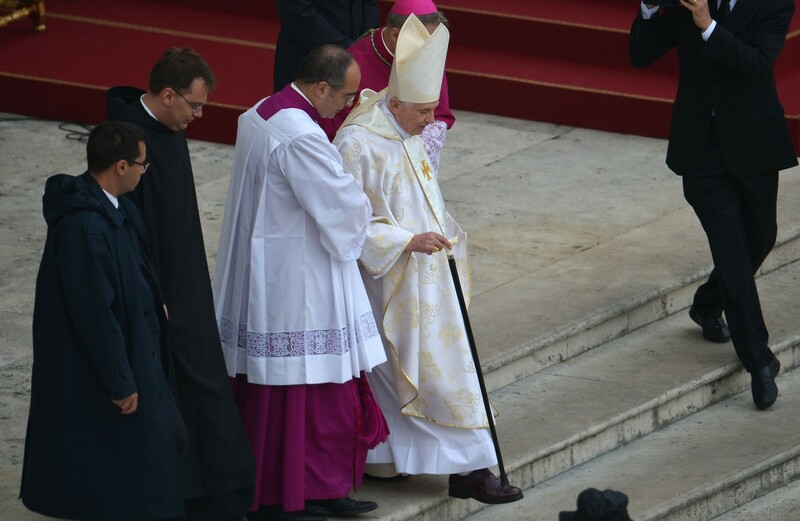 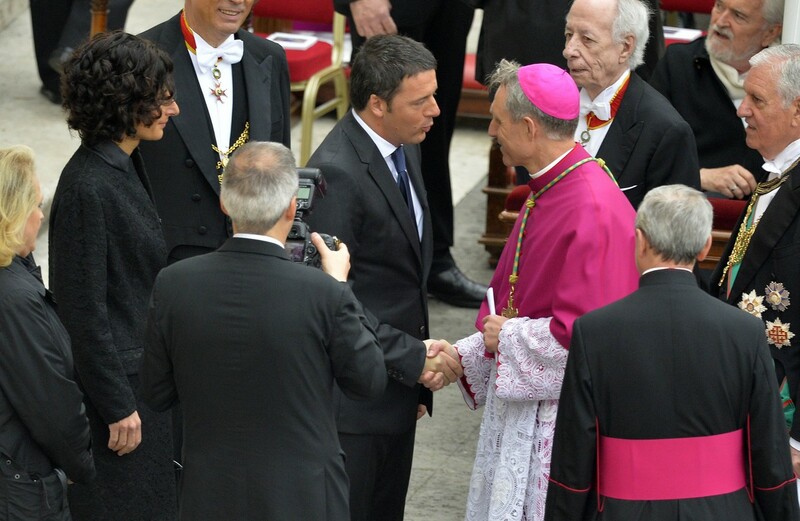 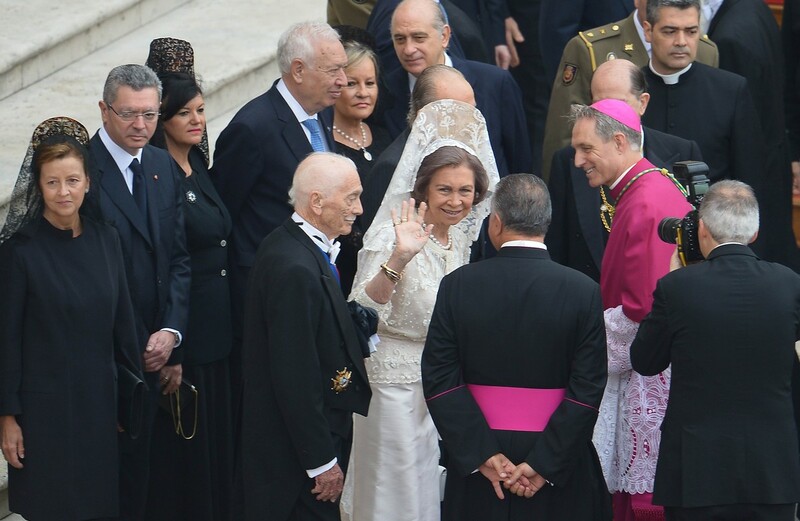 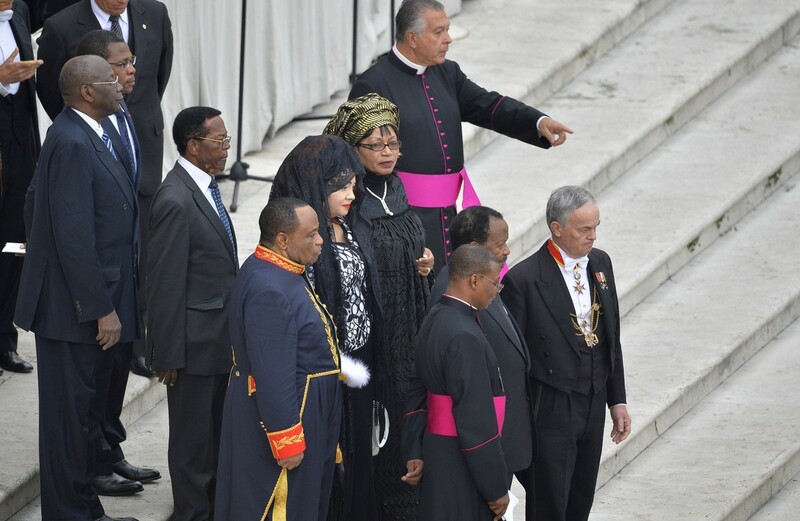 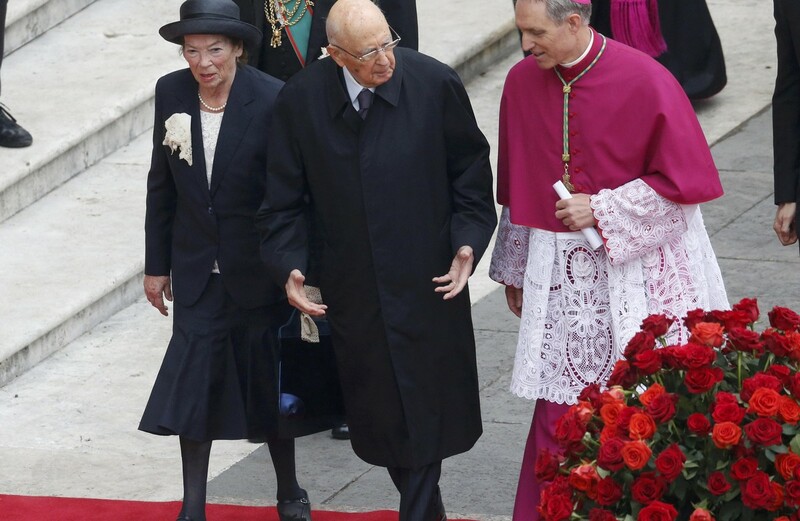 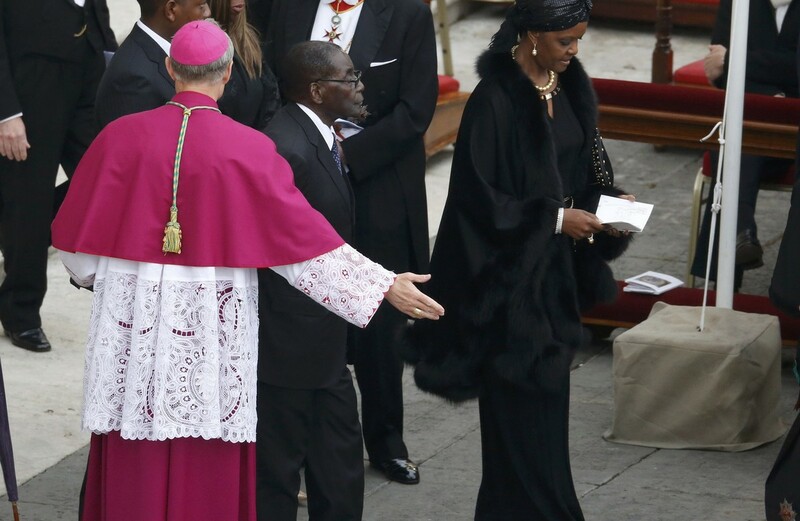 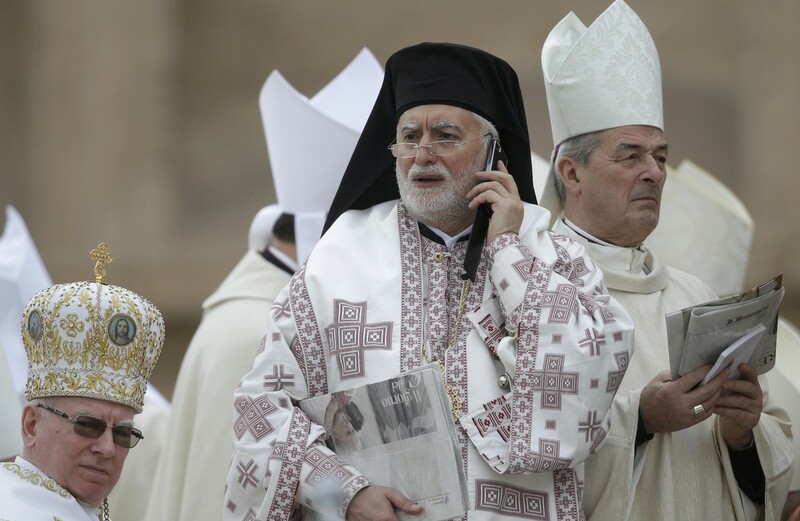 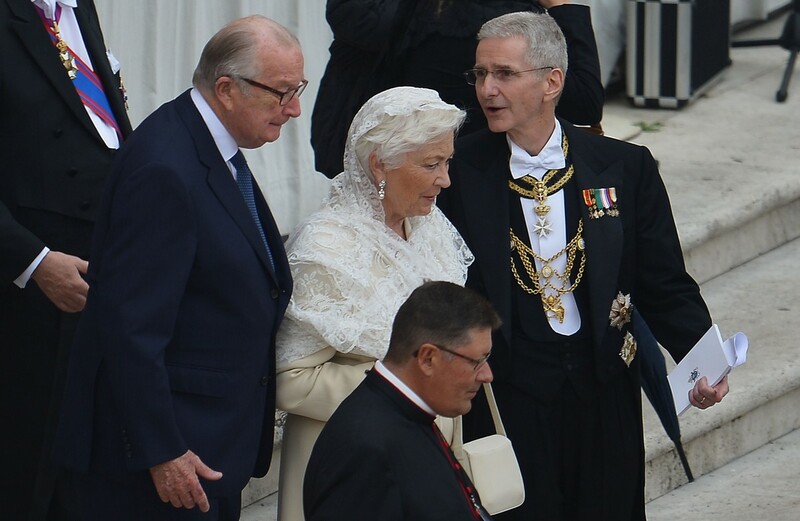 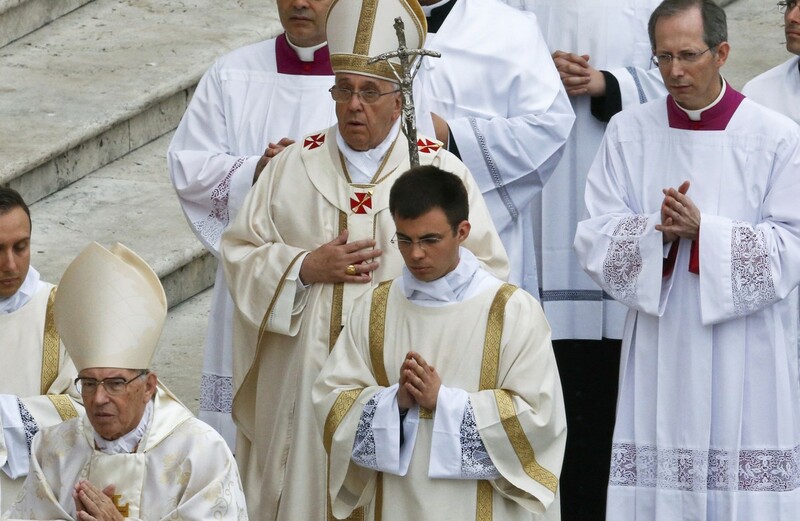 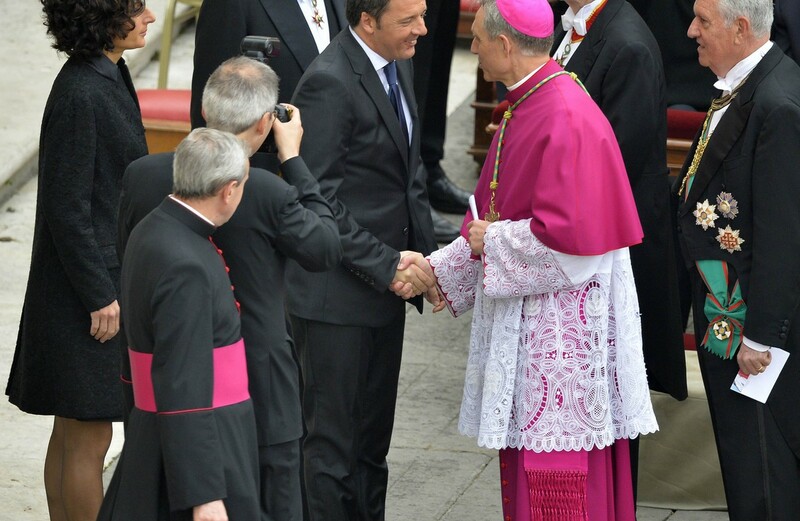 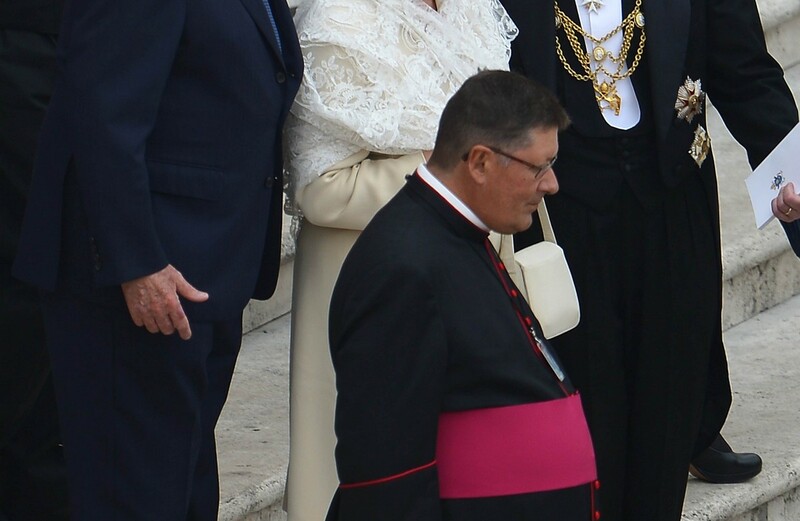 Benedict walked with a cane and was dressed in white vestments His attendance gave the ceremony a somewhat surreal atmosphere created by the presence of reigning pope, a retired pope and two dead popes buried in the basilica behind the altar. 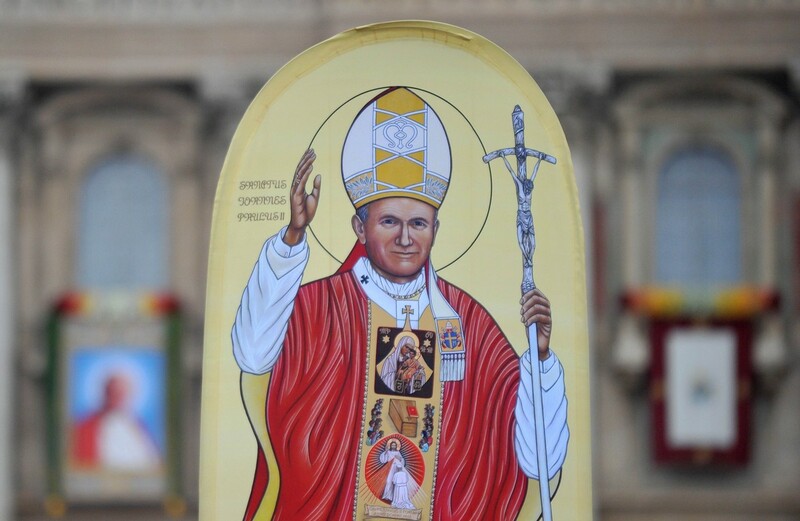 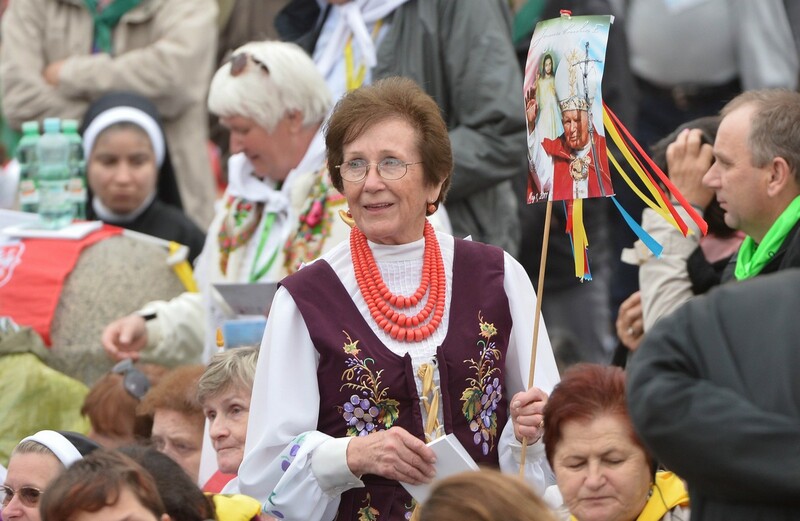 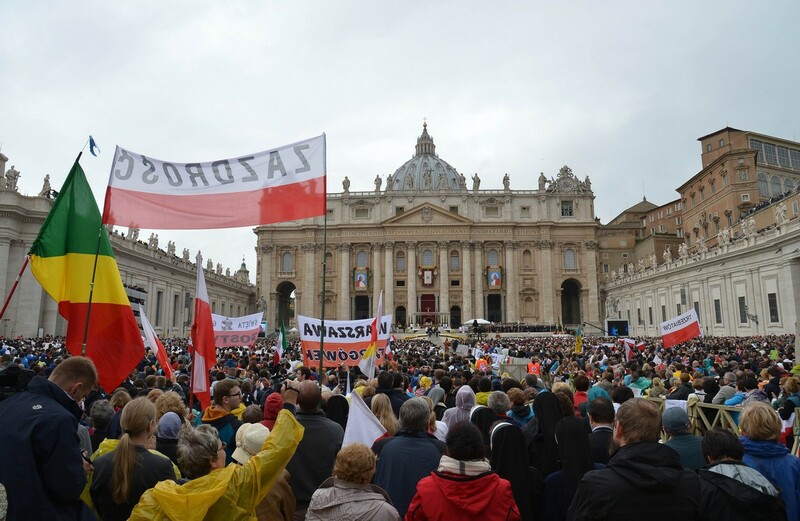 The overwhelming majority in the crowd were Poles who had travelled from their home country and immigrant communities as far afield as Chicago and Sydney to watch their most famous native son, John Paul, become a saint. 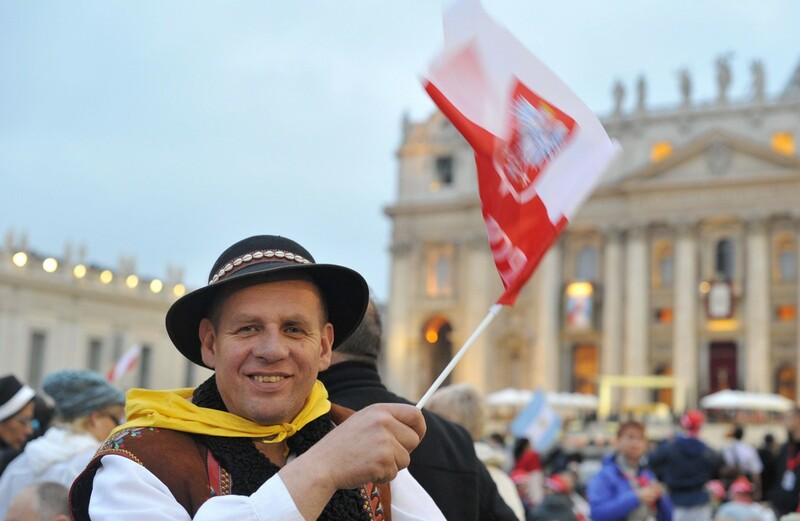 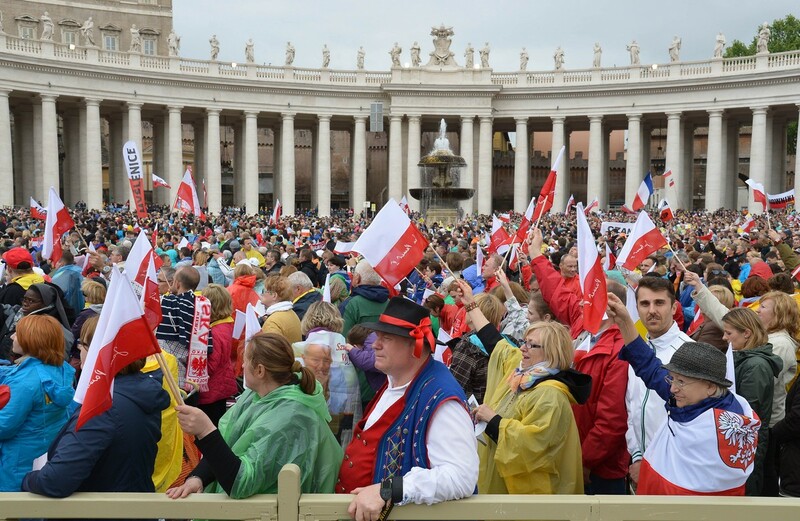 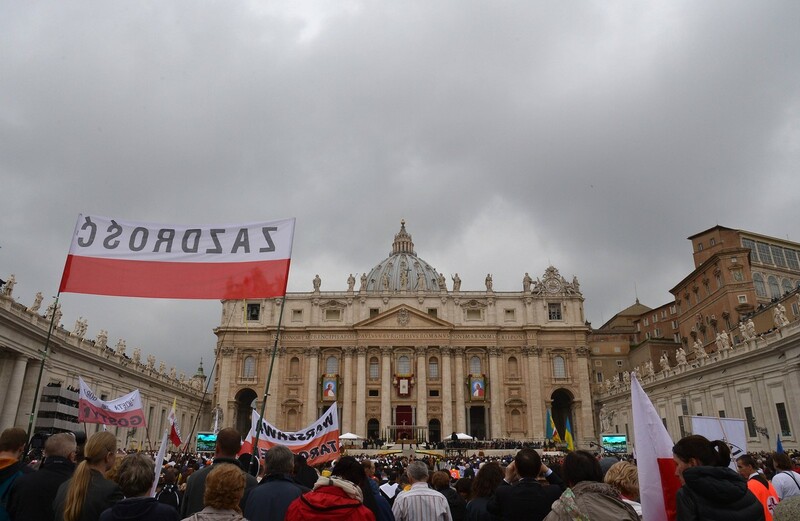 Hundreds of red and white Polish flags filled the square and the streets surrounding the Vatican, which were strewn with sleeping bags, backpacks and folding chairs. 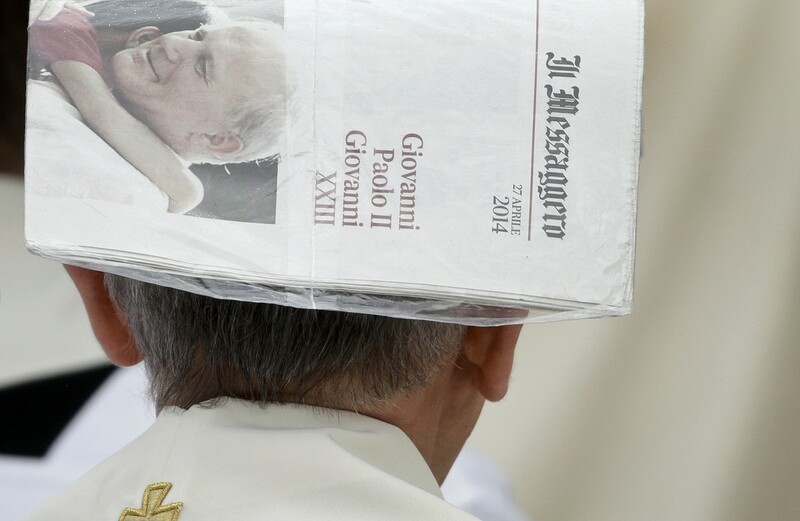 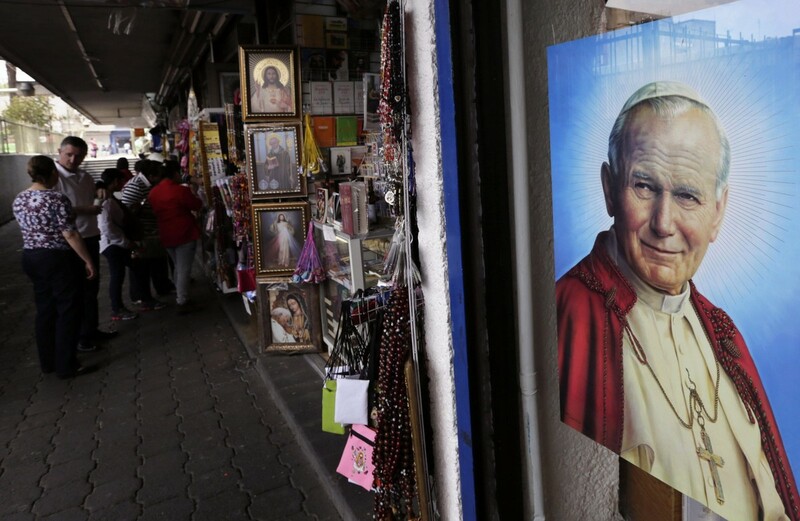 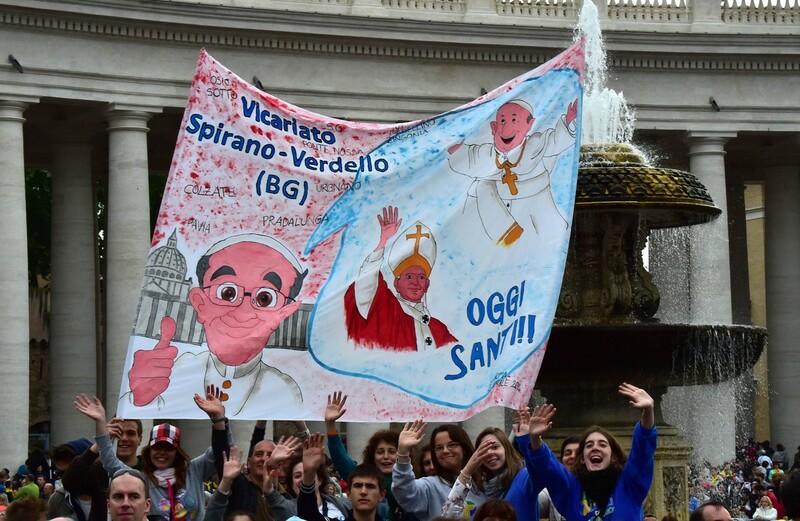 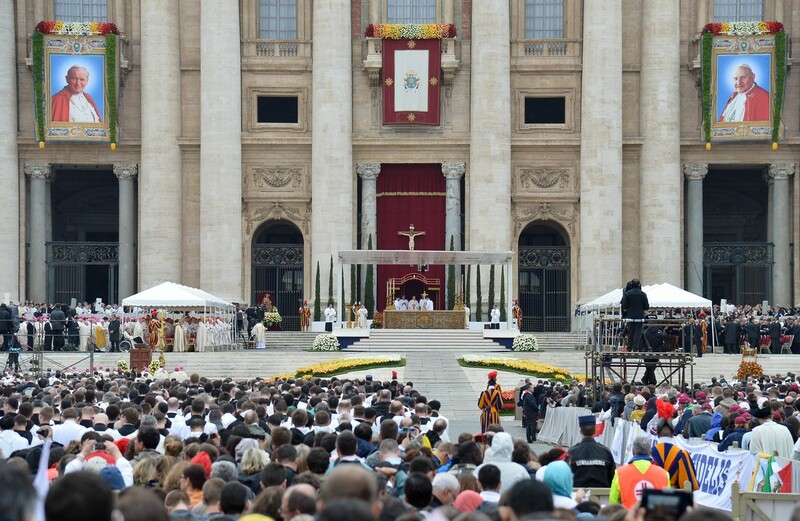 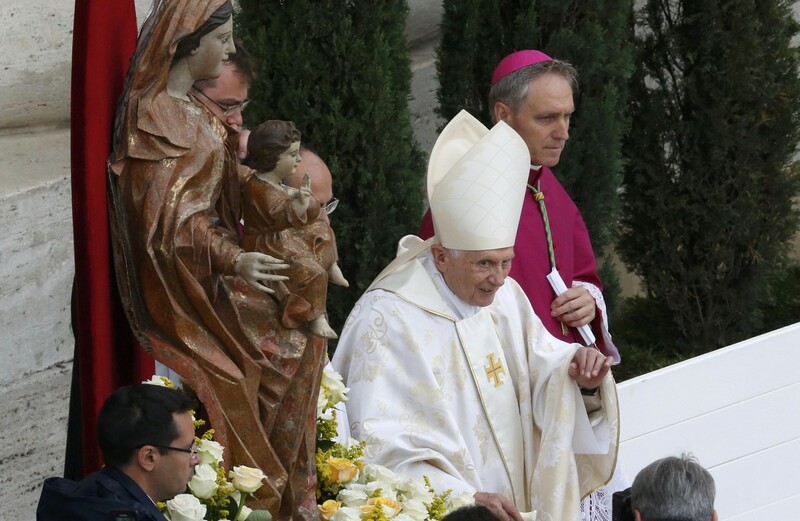 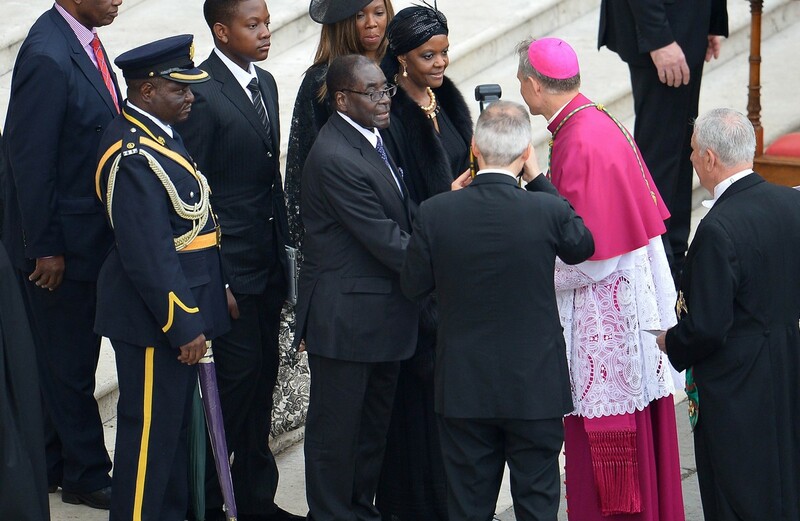 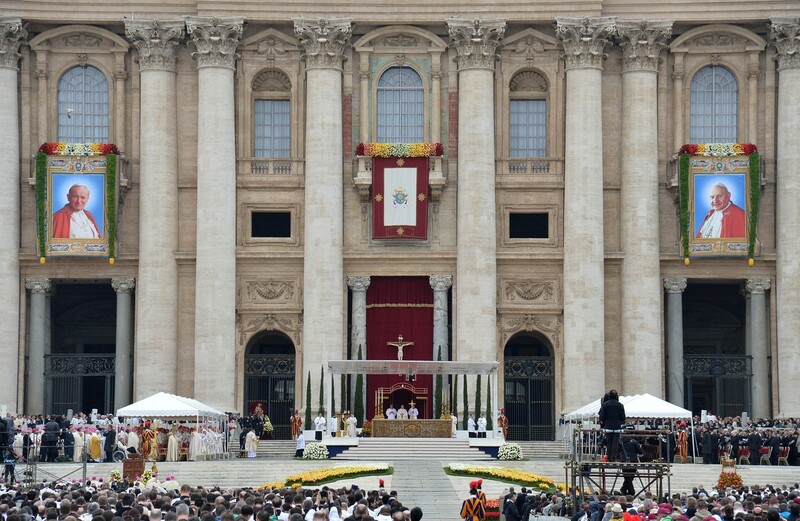 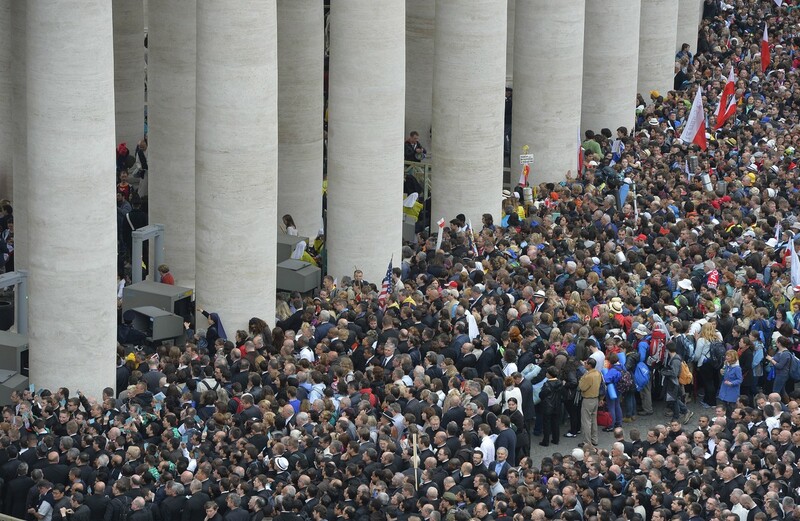 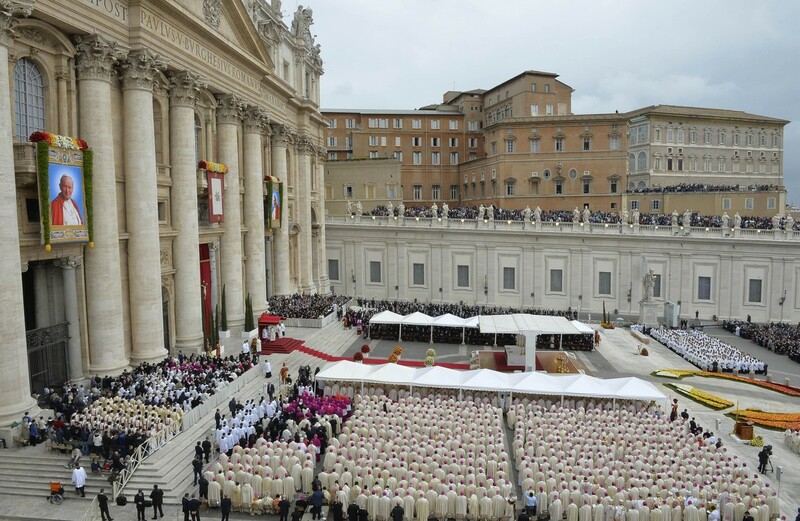 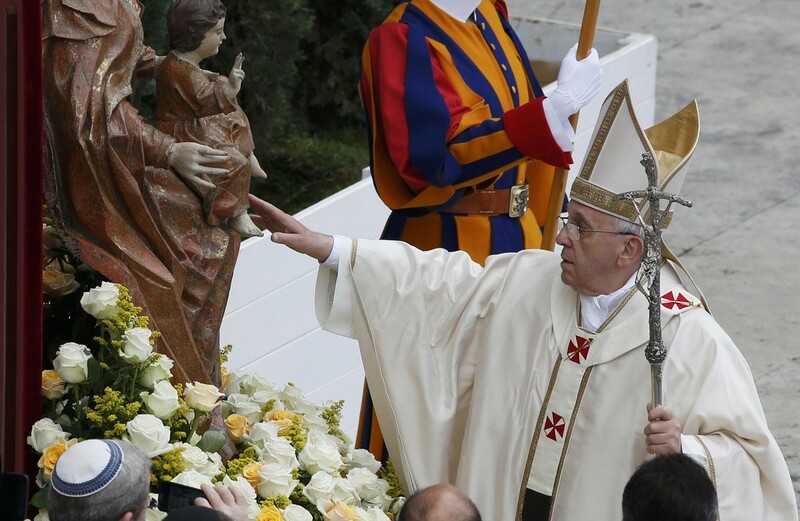 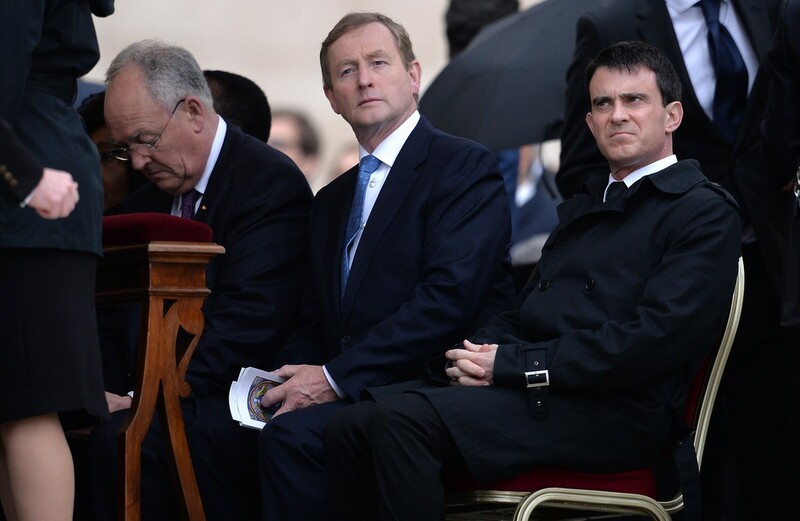 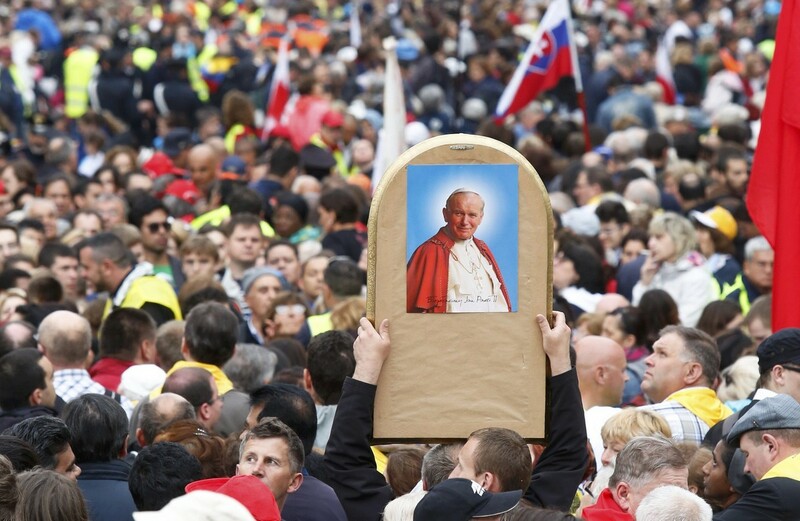 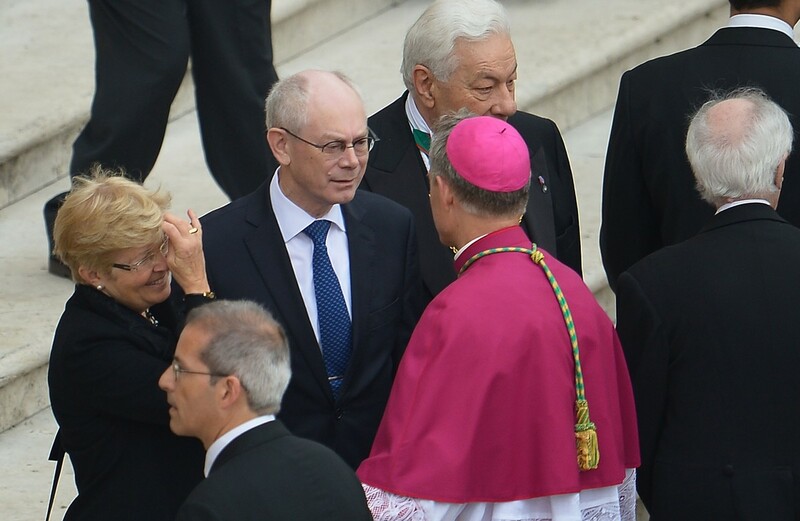 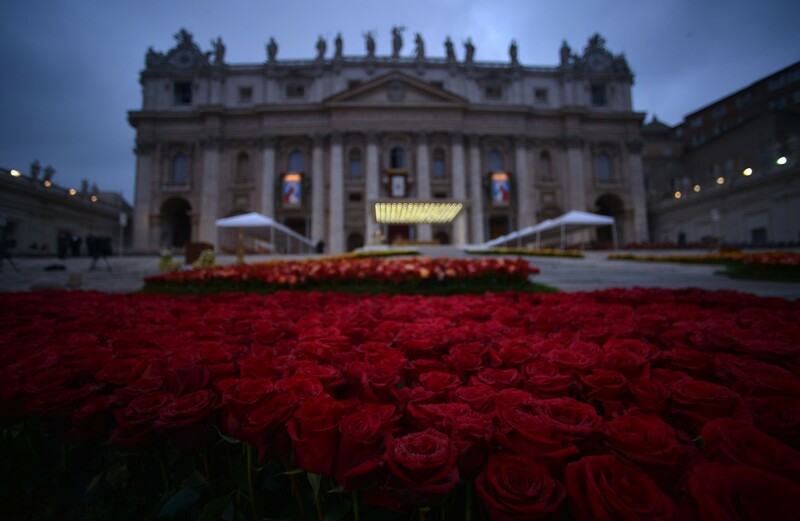 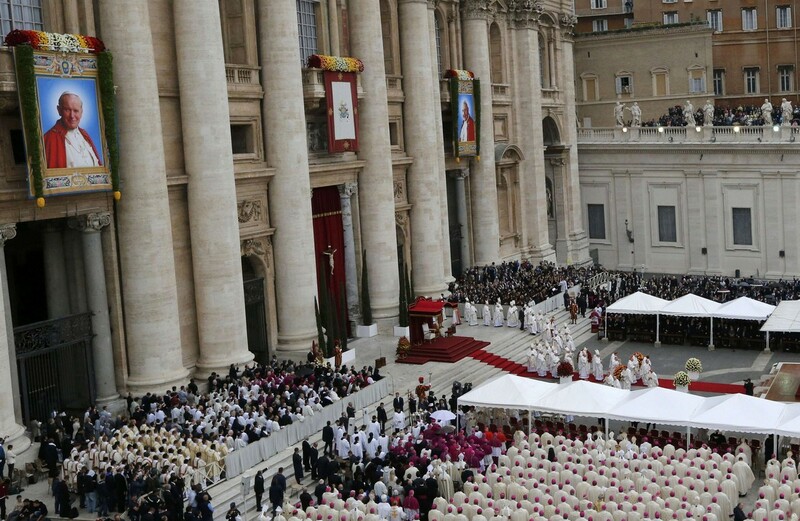 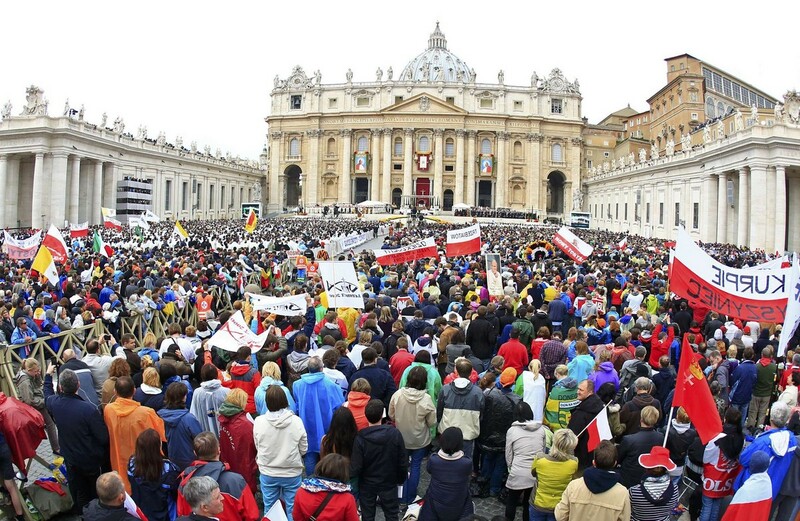 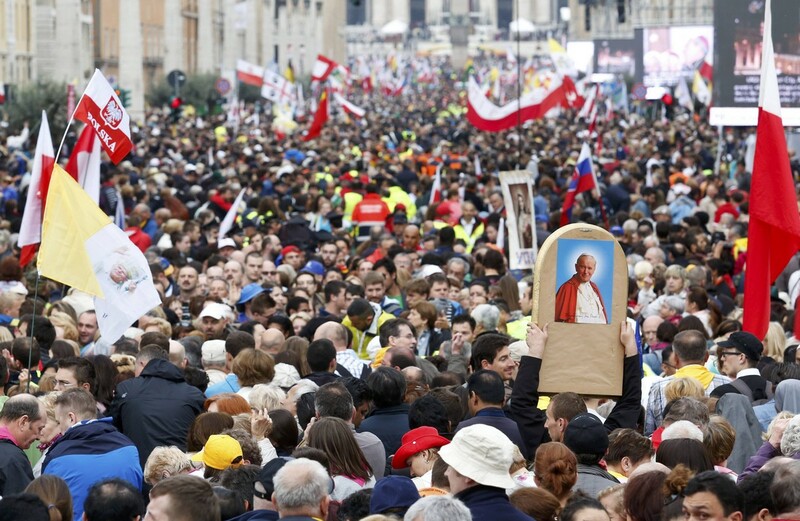 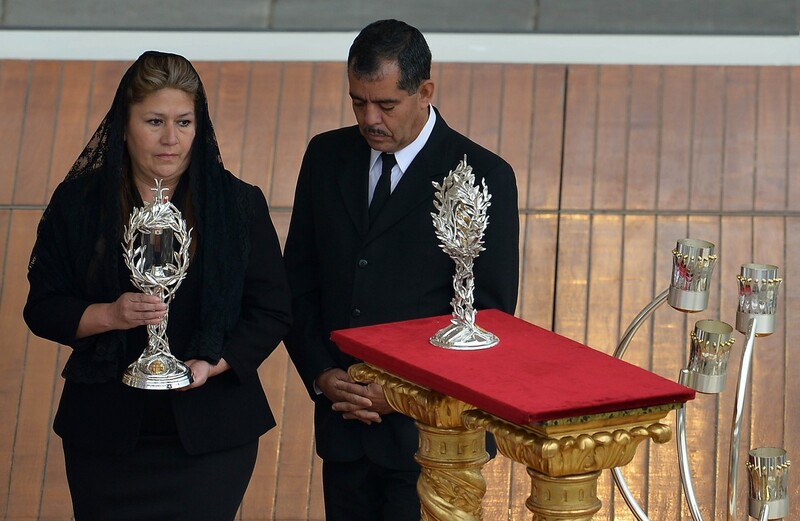 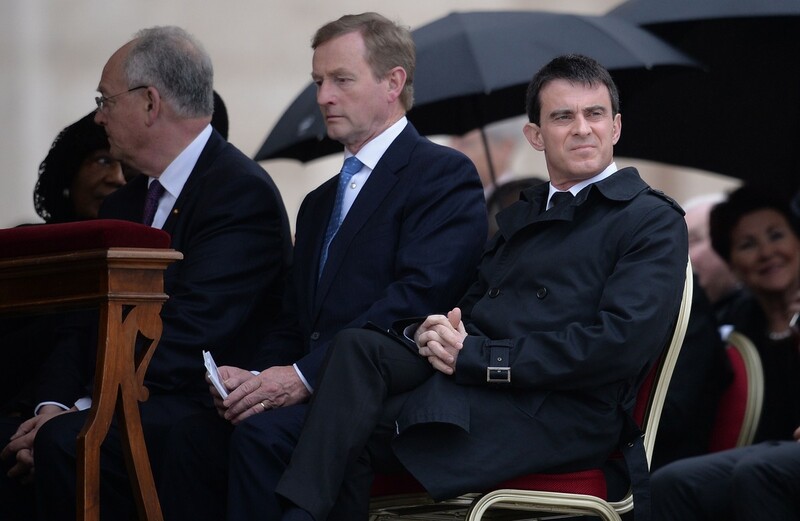 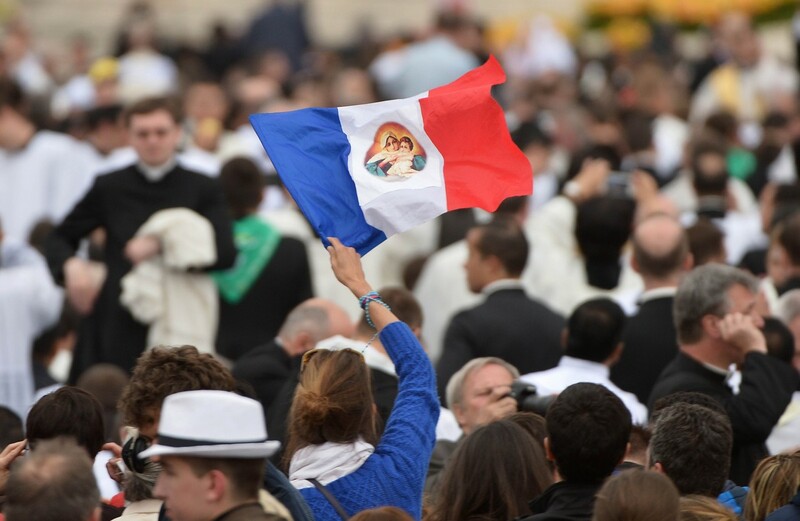 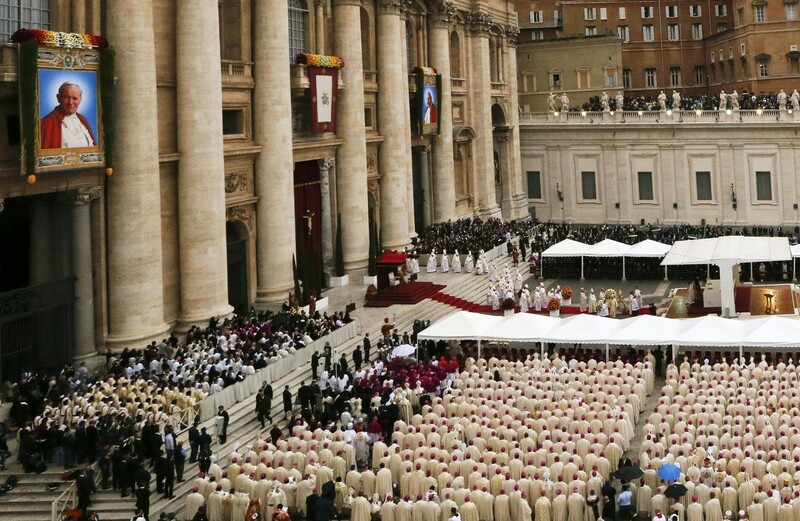 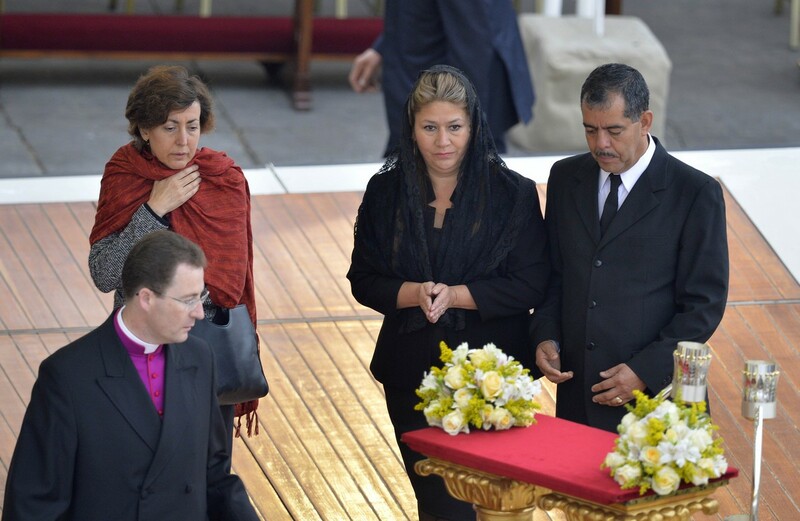 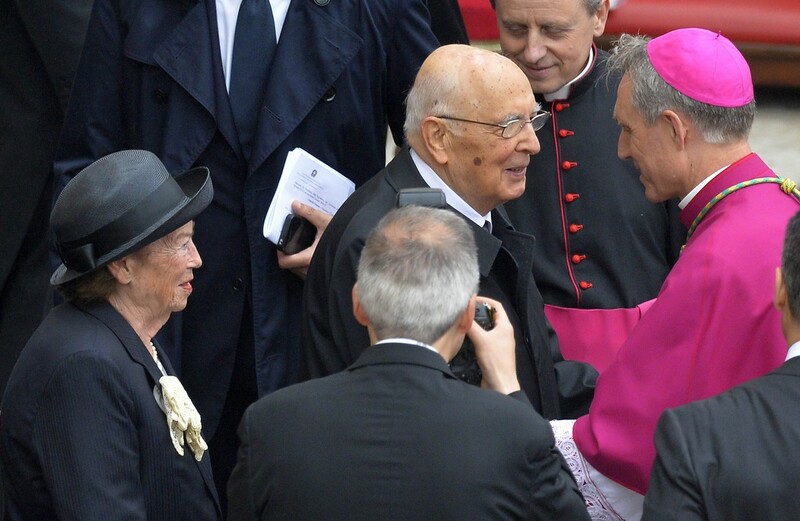 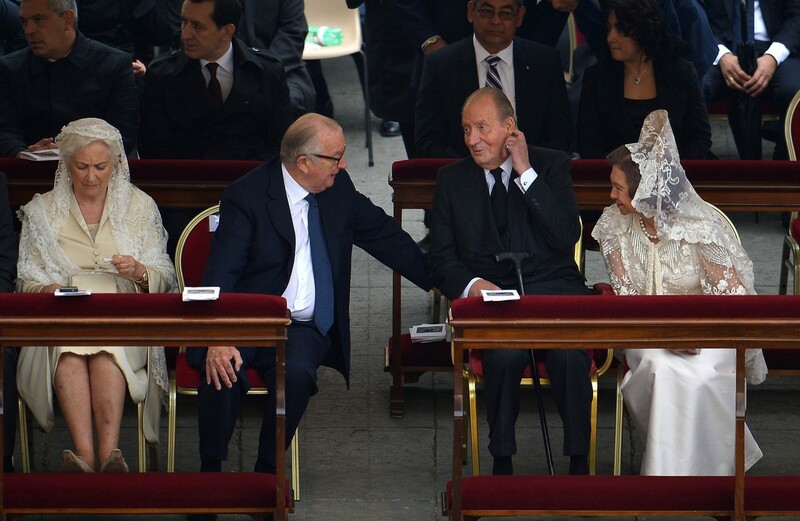 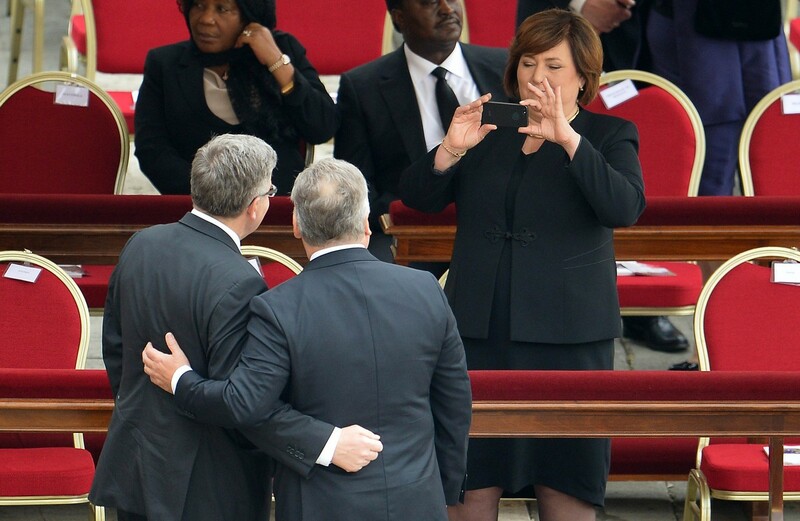 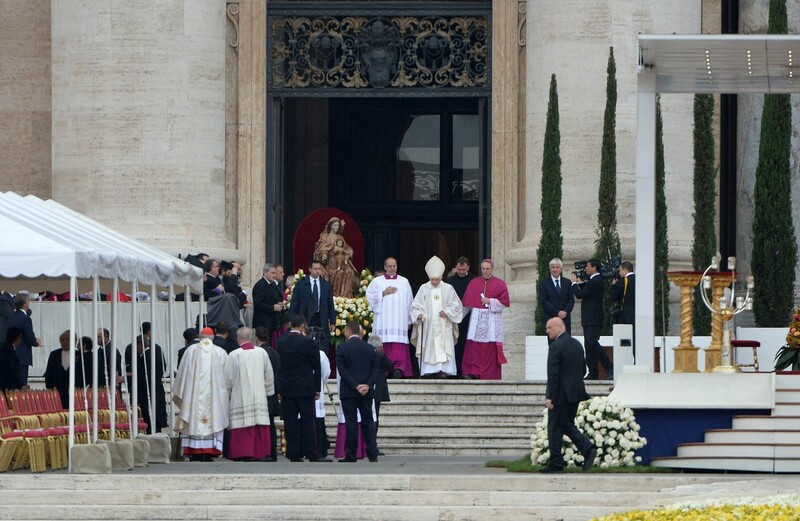 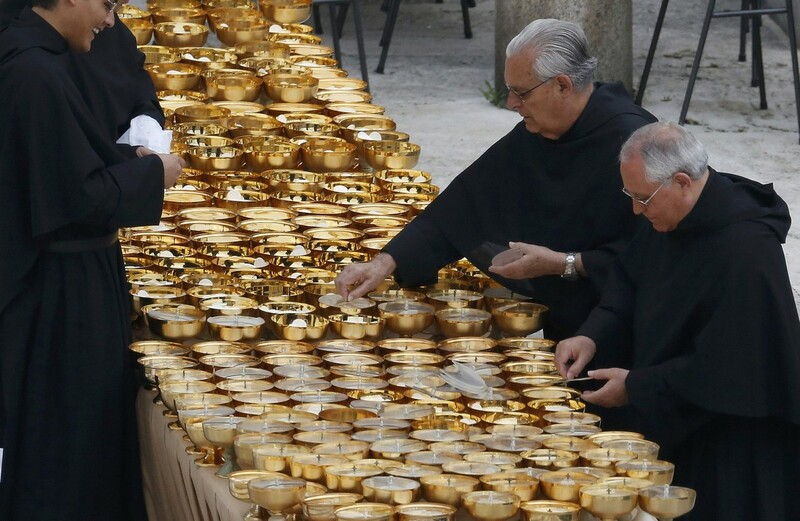 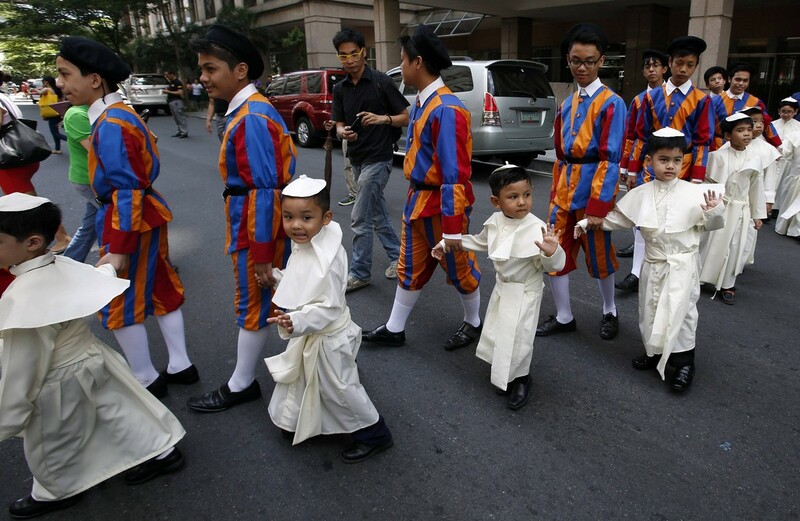 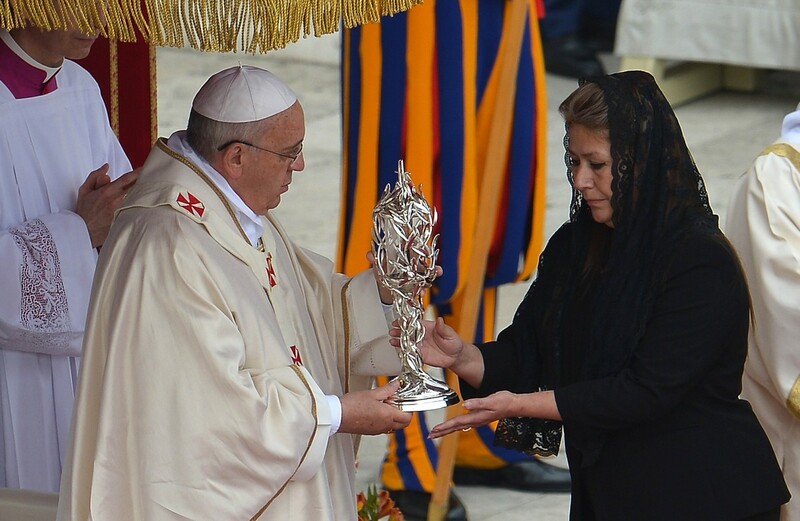 It was one of the biggest crowds since John Paul's beatification in 2011. 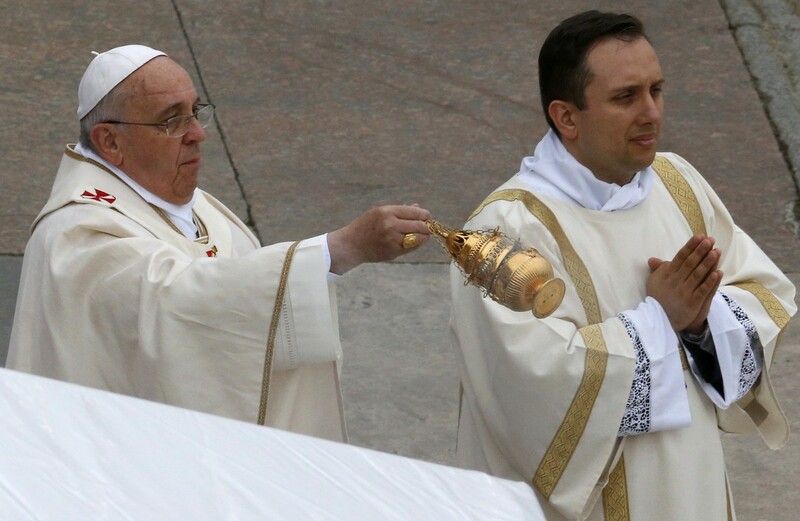 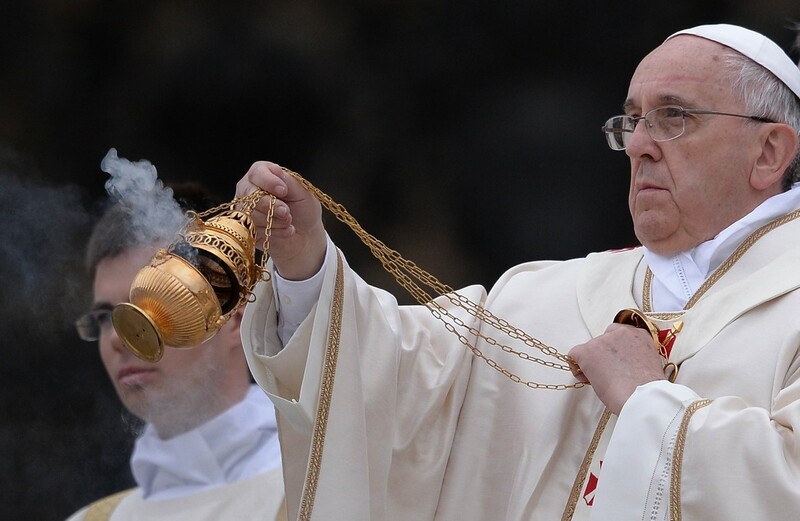 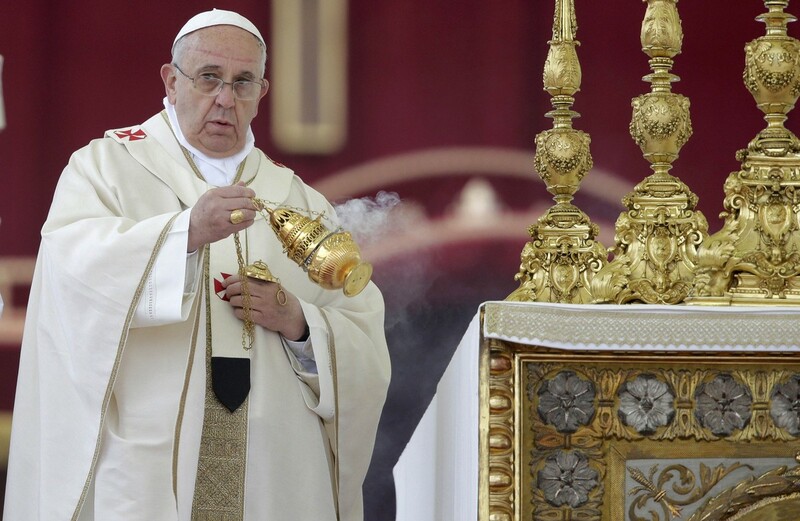 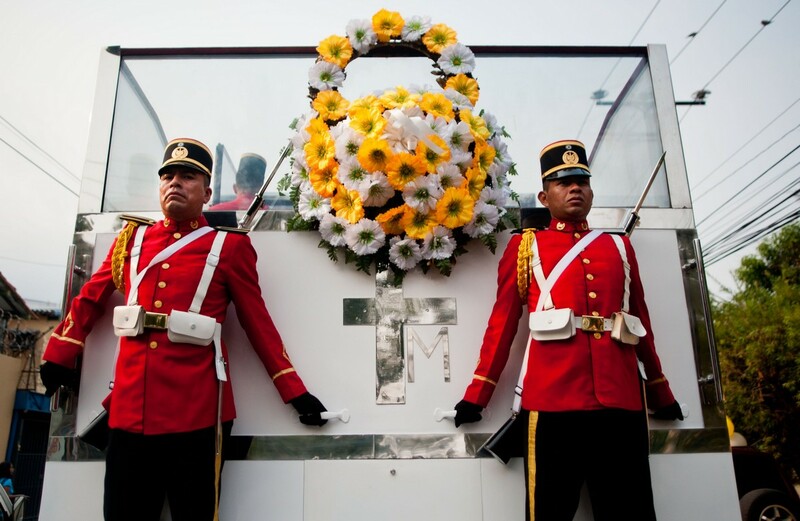 "For years Pope John Paul II took the Church to the ends of the earth and today the ends of the earth have come back here,"said Father Tom Rosica, head of Canada's Salt and Light Catholic television network. 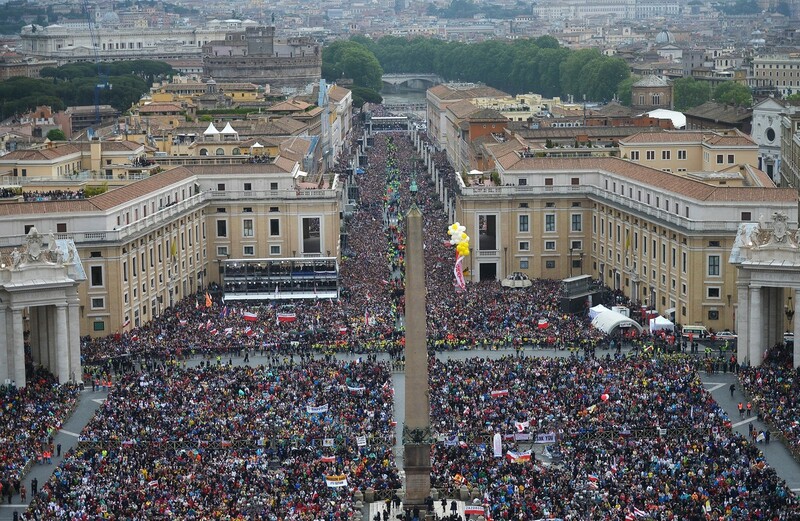 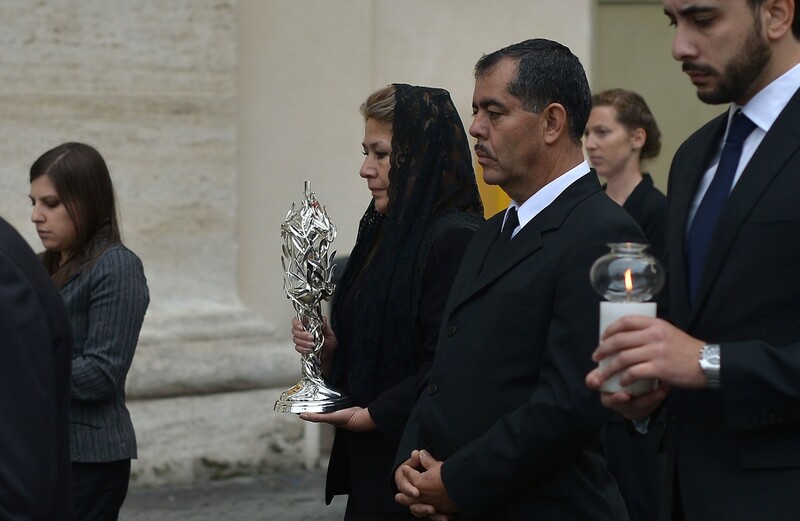 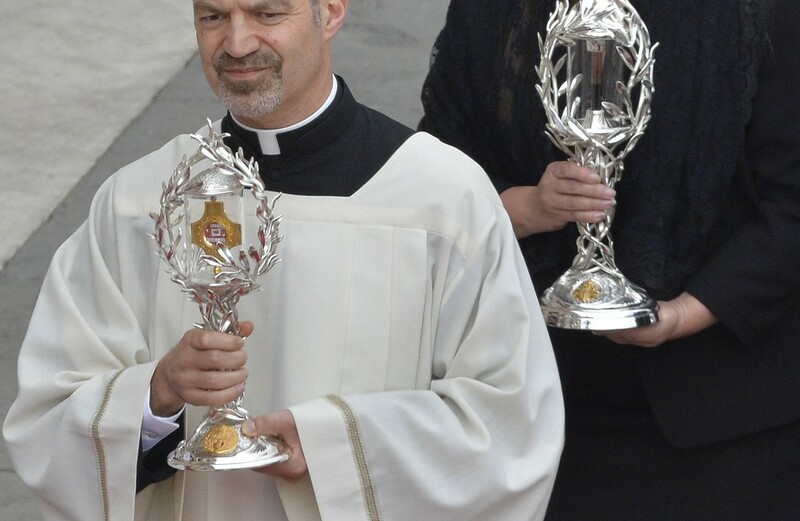 Families and other pilgrims had waited for more than 12 hours along the main street leading to the Vatican before police opened up the square at 5:30 a.m. 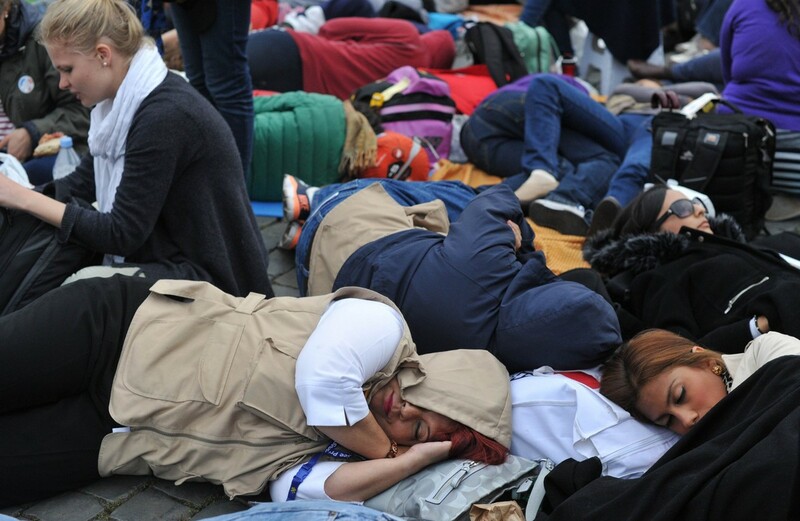 Some people said they had managed to sleep on their feet because the crowd was so thick. 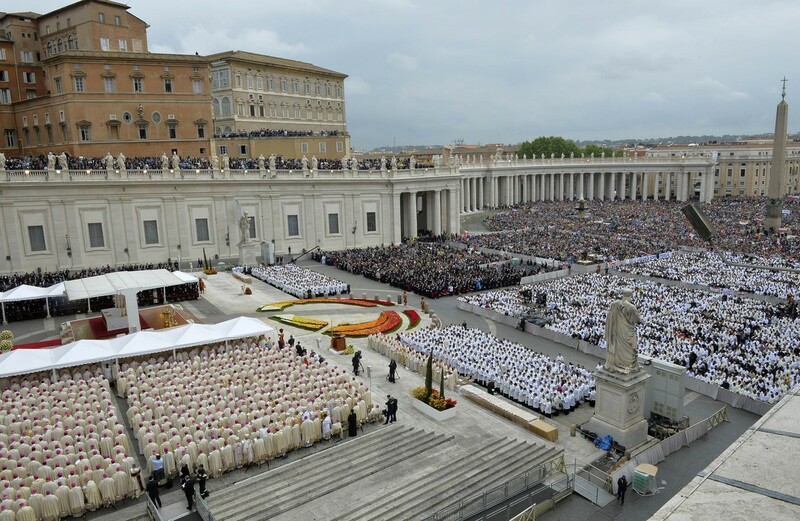 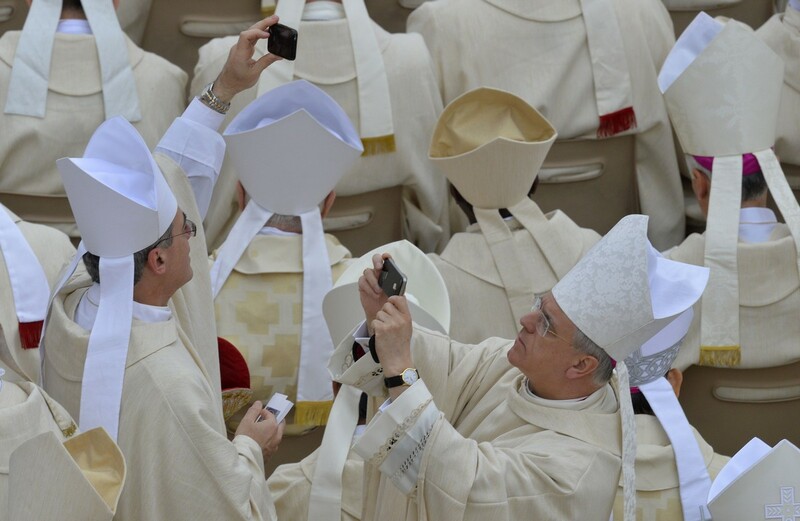 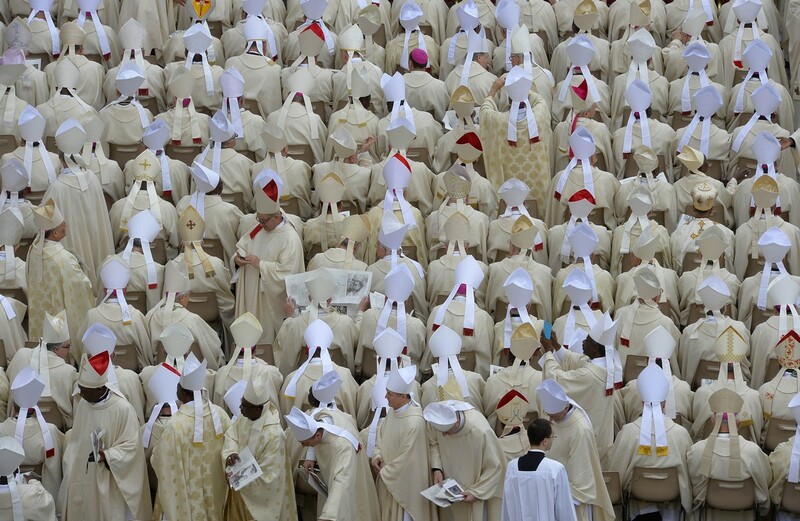 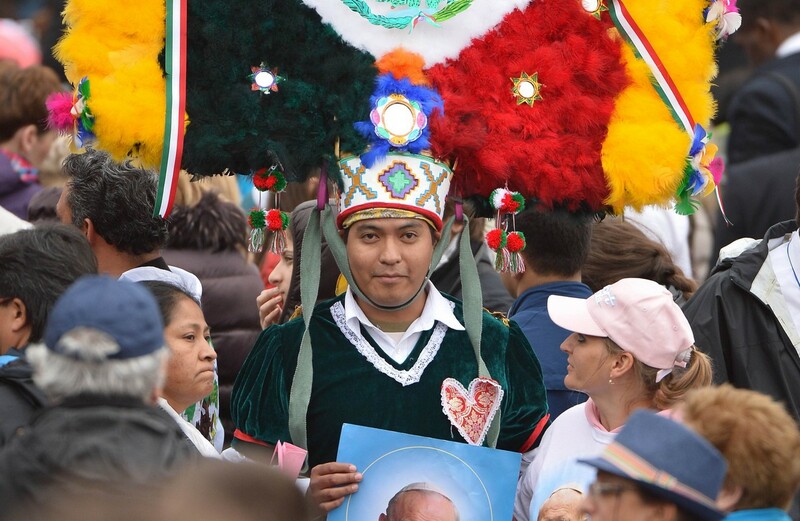 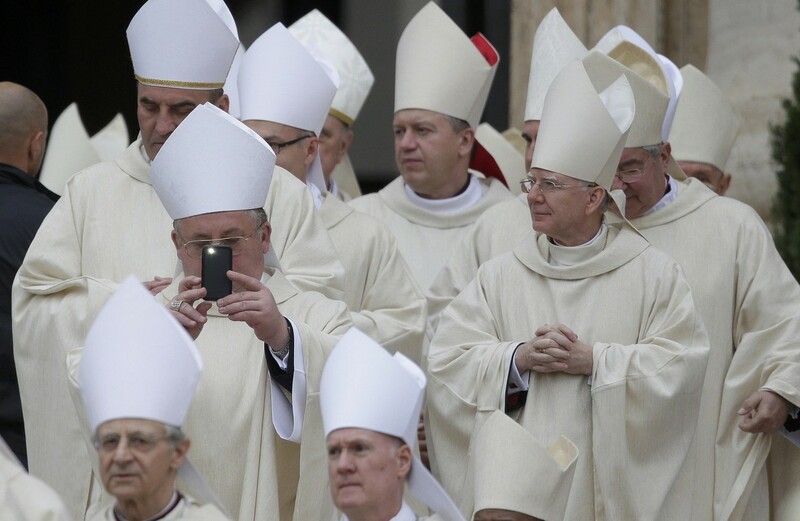 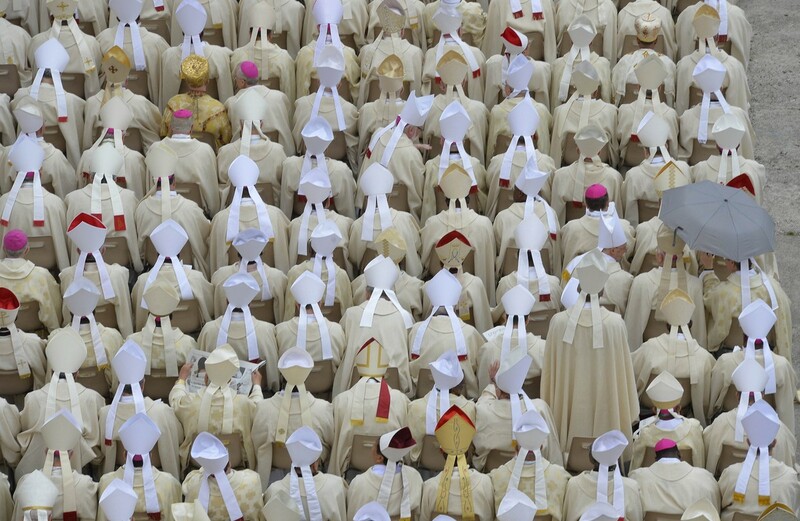 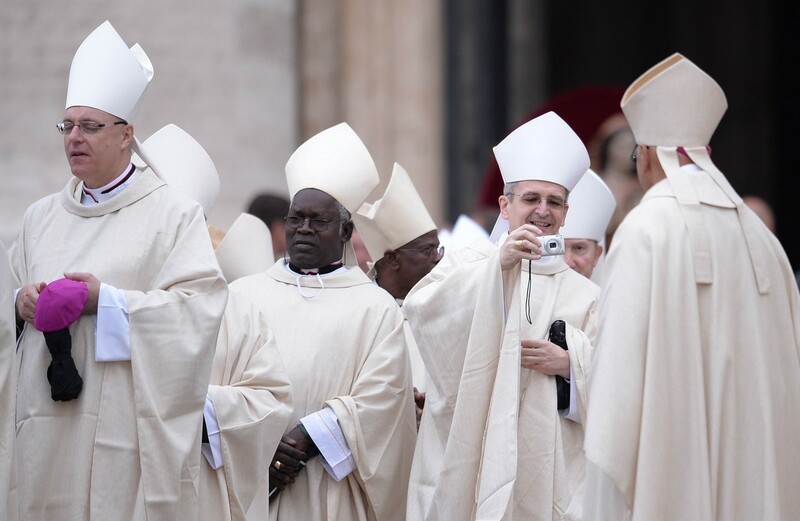 About 850 cardinals and bishops were celebrating the Mass with the pope and 700 priests were on hand to distribute communion to the huge crowd. 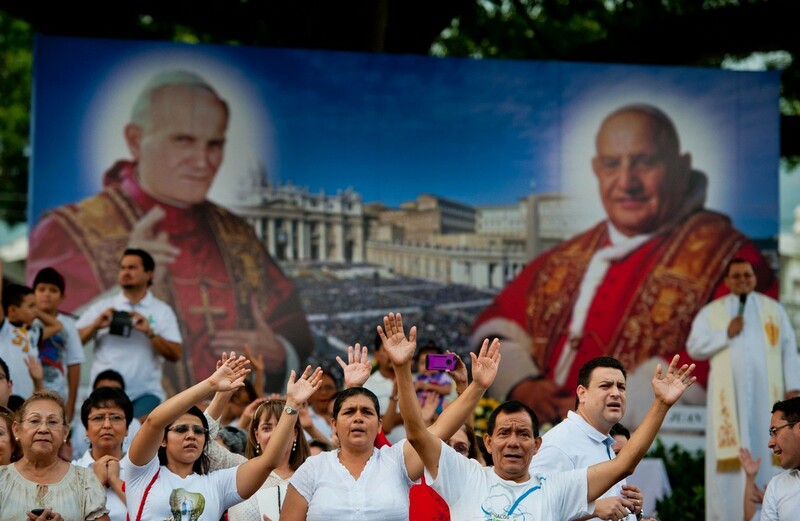 John XXIII, who reigned from 1958 to 1963 and called the modernising Second Vatican Council, and John Paul II, the Pole who reigned for nearly 27 years, played a leading role on the world stage. 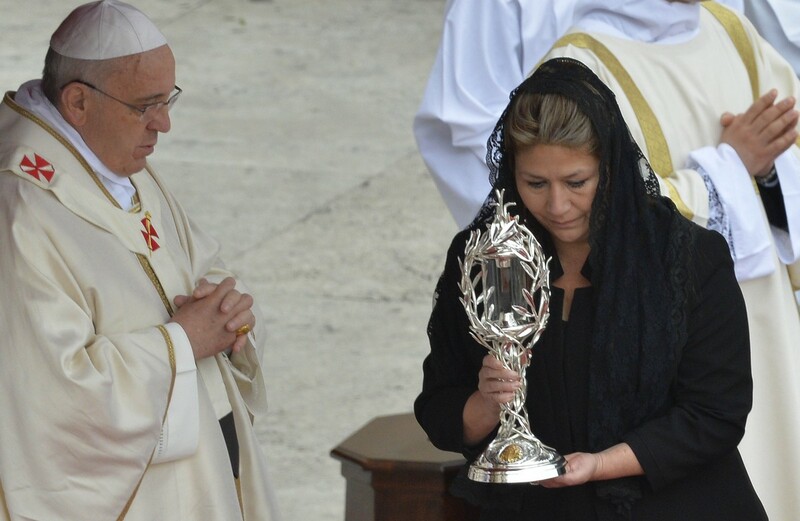 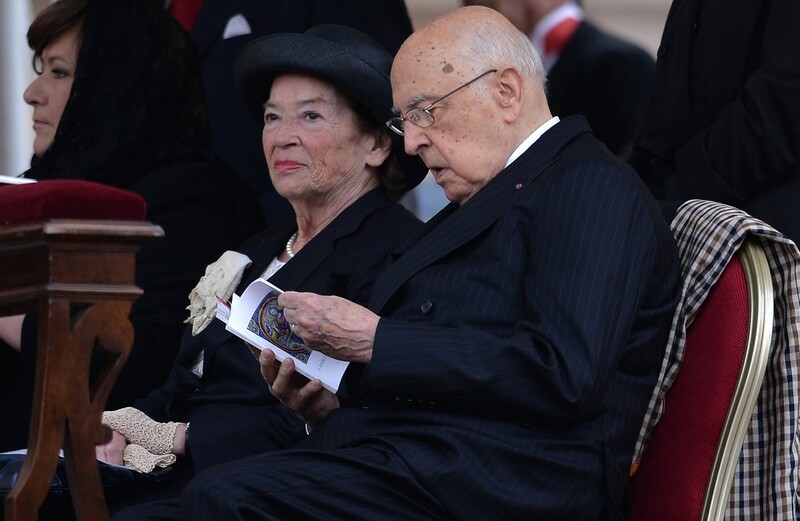 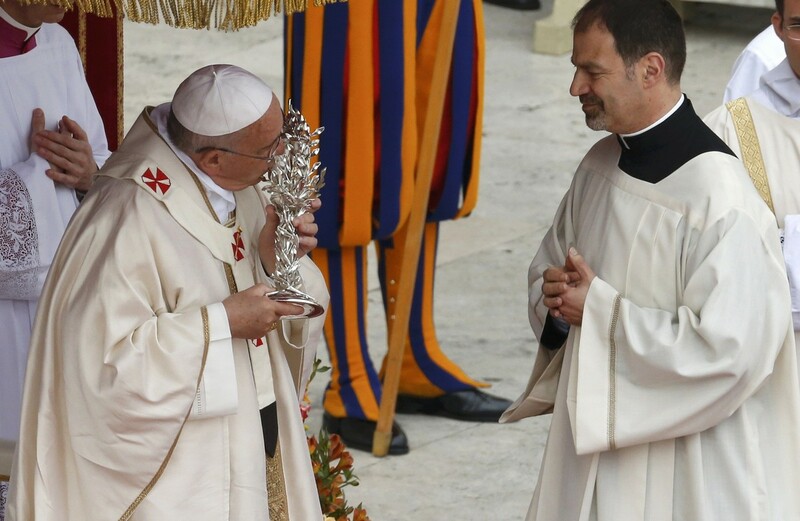 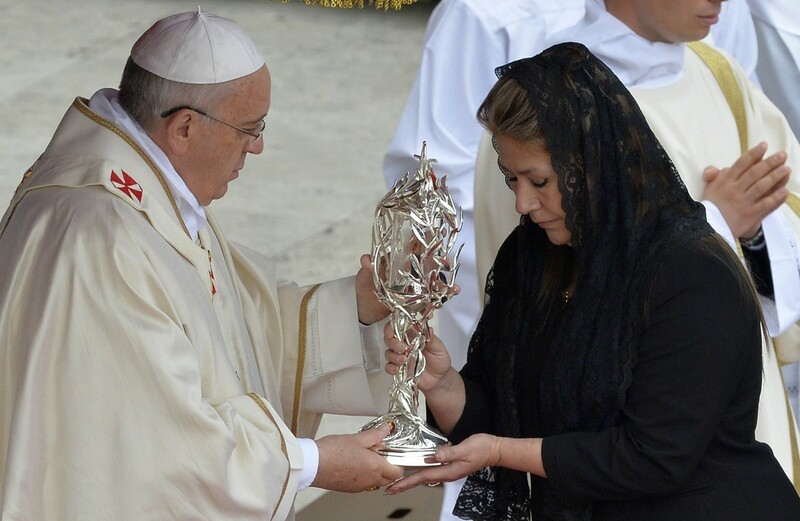 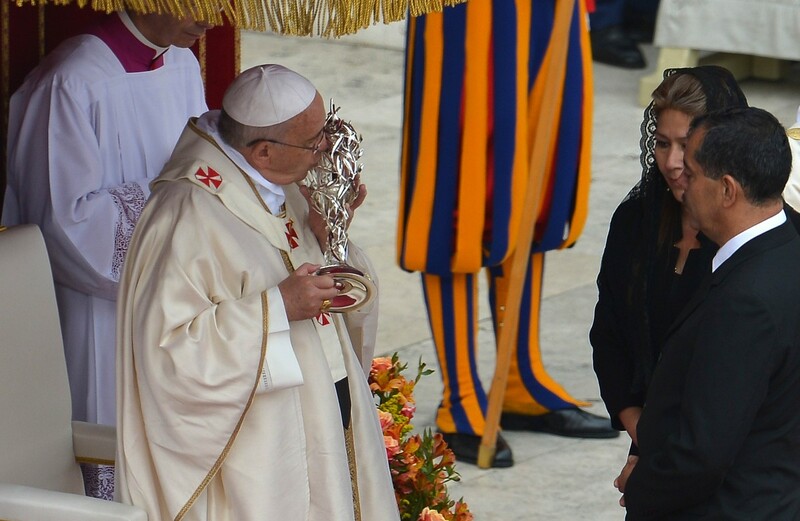 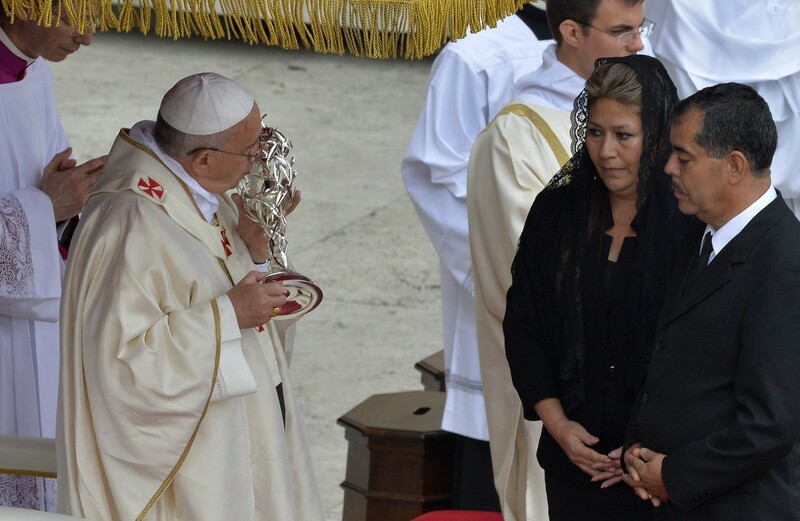 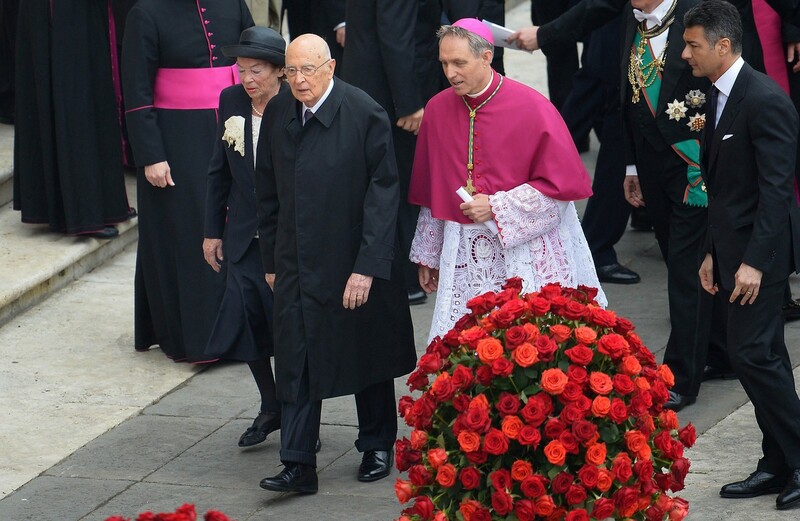 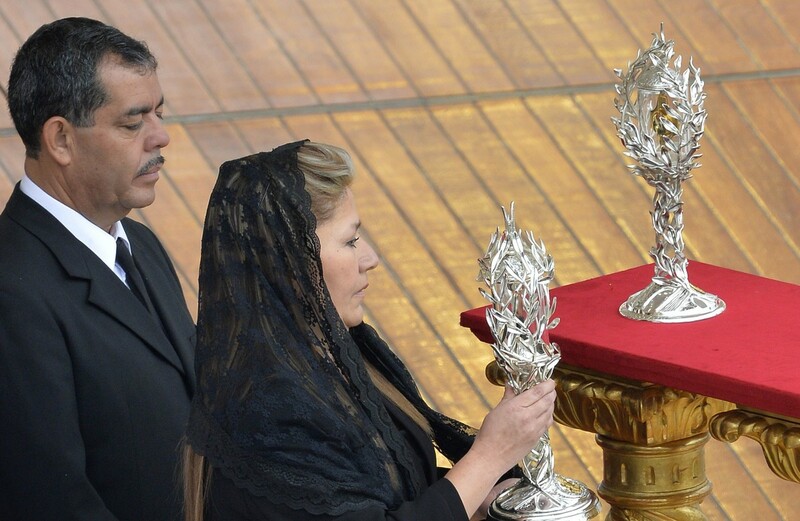 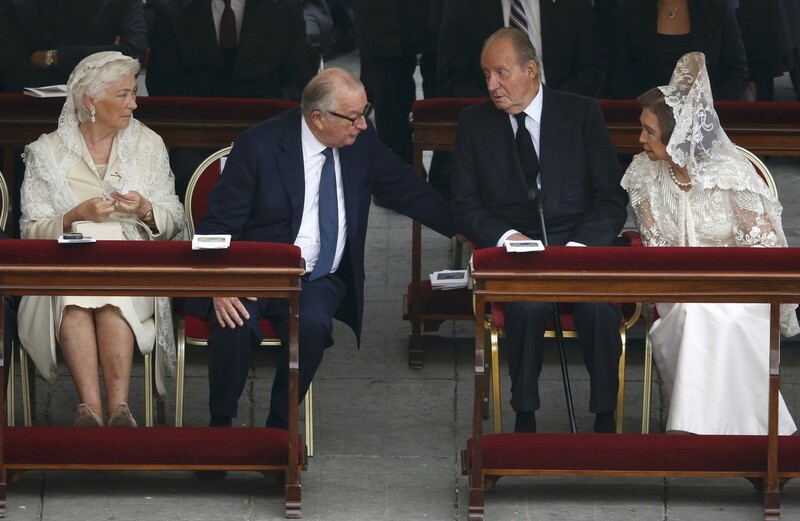 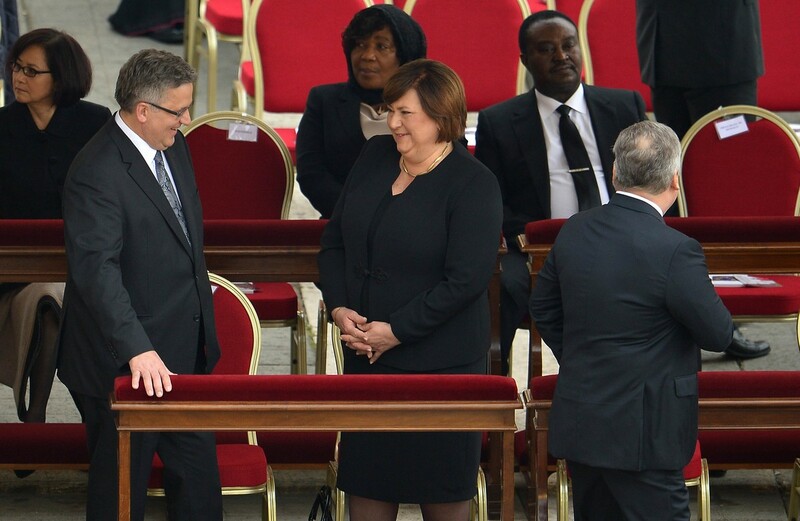 Francis' own huge popularity has added extra appeal to the unprecedented ceremony to raise two former leaders of the church to sainthood on the same day. 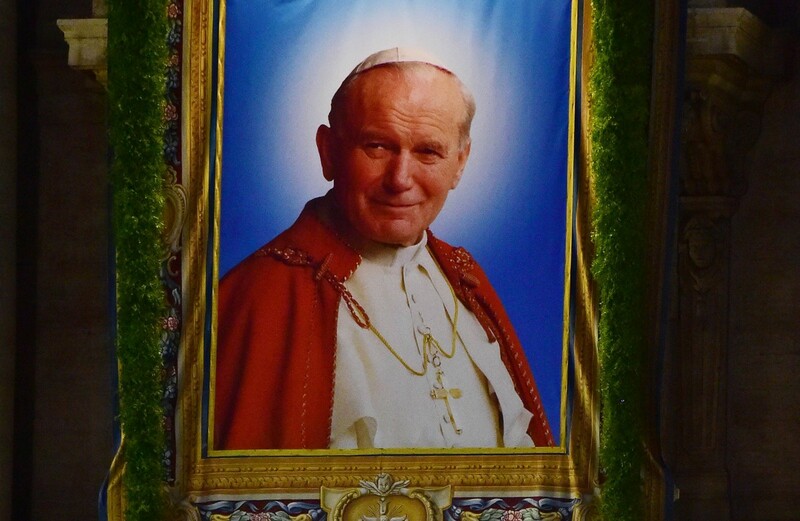 But while both were widely revered, there has also been criticism that John Paul II, who only died nine years ago, has been canonised too quickly. 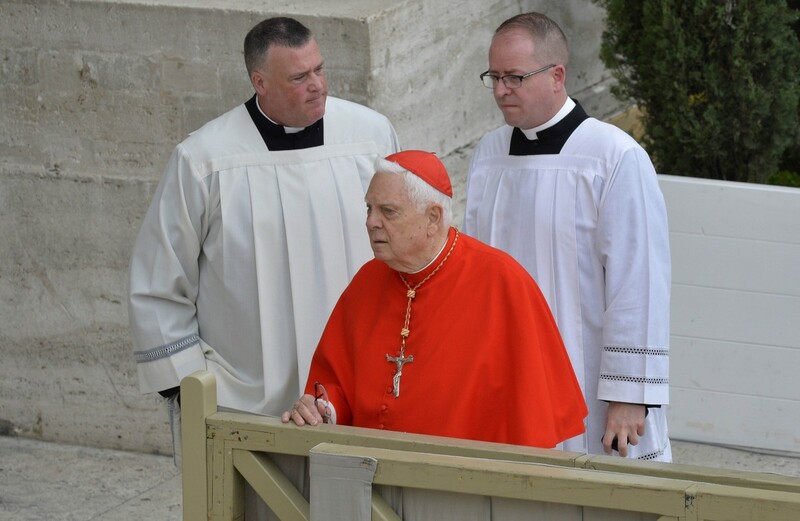 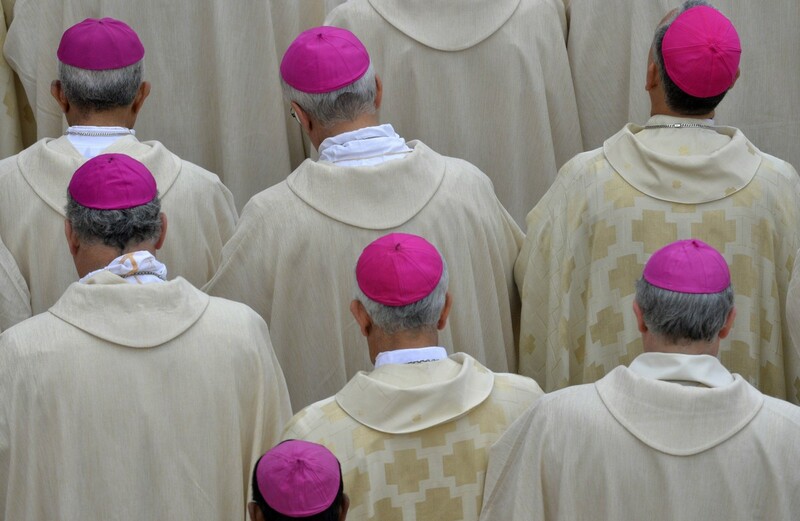 Groups representing victims of sexual abuse by Catholic priests also say he did not do enough to root out a scandal that emerged towards the end of his pontificate and which has hung over the church ever since. 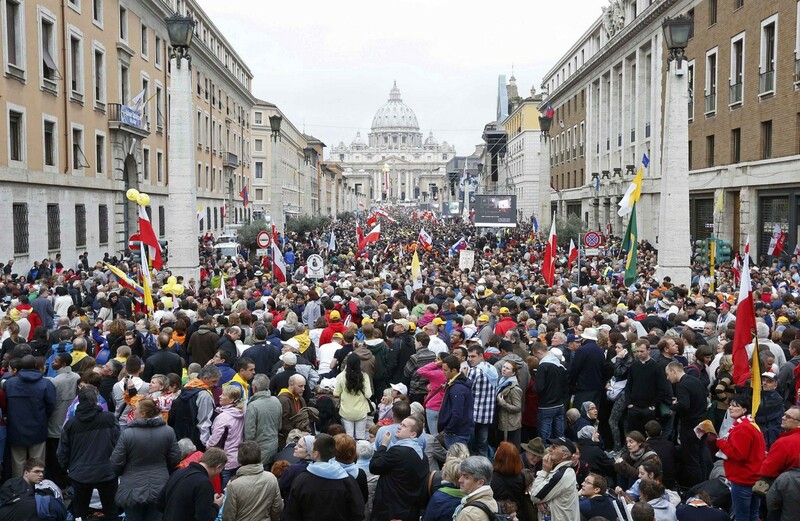 The controversy did nothing to put off the rivers of Catholic faithful who have been arriving in Rome over the past few days. 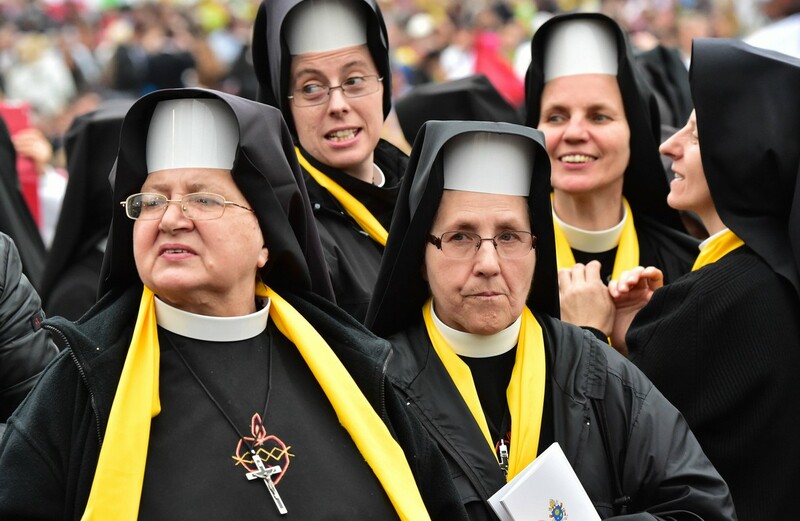 "It is a great joy, an immense joy, because there is happiness everywhere and this is not an empty happiness," said Guillemette Chevalier, from France. 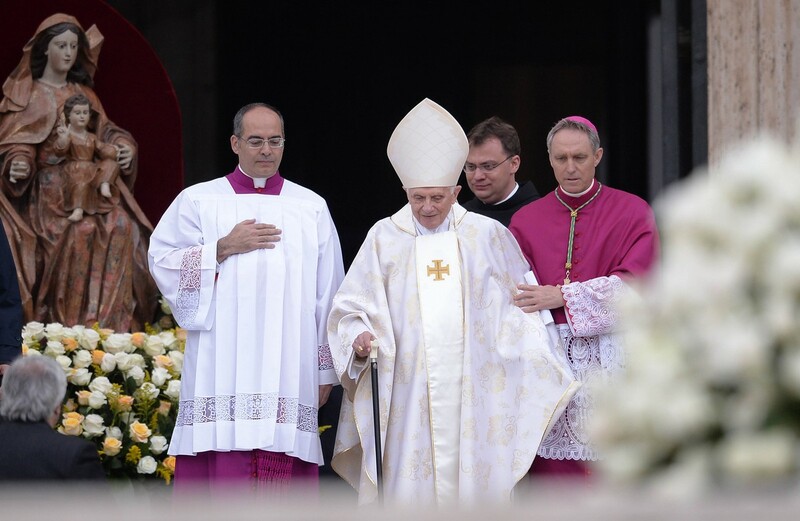 "Here we have found the joy of being together in the Church around two extraordinary men ... who give meaning to our lives. 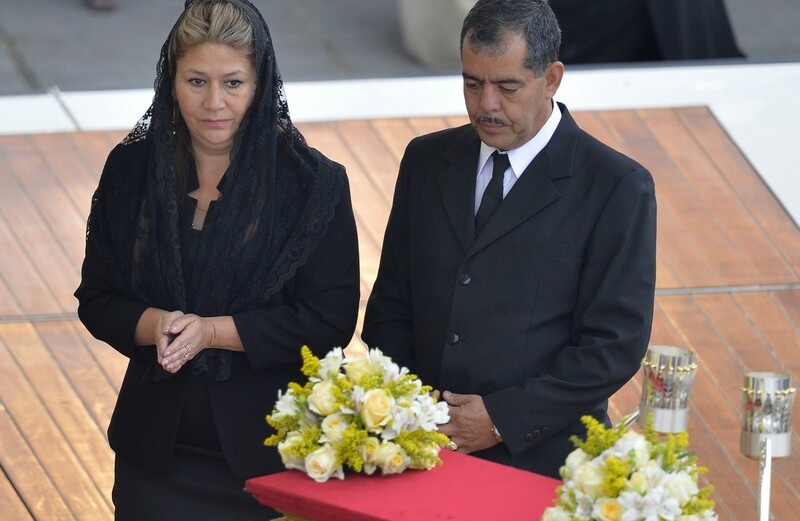 It is true happiness," she said.